Here our customers write about their experience with Porta Mallorquina - on the purchase, sale and long term rental in Mallorca. Your opinion is important to us! Write to us, and let us know if you were satisfied with our service. We look forward to your feedback. "A good feeling from the start, fair and open advice. Super service even after purchasing the apartment. Thank you, Jens Falke!" Fam. Wolter from Drochtersen, Germany. 5 ★★★★★ Rating for purchase an apartment in Cala Ratjada. Consulting and sales by the team of Porta Mallorquina in Arta. "Ms. Segerink is an exceptional broker with passion – congratulations to those who she looks after. At all times and on any day of the week she is immediately available or returns the call within a very short time, even on sundays. Her viewings are completely professional and with a huge commitment, and her excellent Spanish makes communication with the Spanish developers easy. Her commitment goes far beyond the normal broker activity, and she even helped us obtain our NIE number and was helpful when contacting banks – she even drove across the island to Manacor to translate for us in a kitchen studio. She is a passionate real estate broker, always cheerful and with unending patience during the countless questions which arise during the purchase of a property abroad. A year ago we looked at a construction project with another brokerage company but the service was so bad that IT was not bought to a conclusion. Our family is infinitely grateful for the wonderful service which brought us our own 4 walls in Mallorca. " Dr. D.V. from Winsen, Germany. 5 ★★★★★ Rating for purchase an apartment in Cala Santanyí. Consulting and sales by the team of Porta Mallorquina in Santanyi. "Very competent and committed. During the sale of our house, which became tedious and protracted due to a complicated loan situation on the side of the purchaser's bank, Mr. Hoffmann acted with great patience and experience." H. Nöthel from Goslar, Germany. 5 ★★★★★ Rating for property for sale in Can Picafort. Consulting and sales by the team of Porta Mallorquina in Pollensa. "We would come back to you any time! Ellis is very customer-oriented and honest! She listens, does her best to understand the client's needs and always has a smile on her face. We are very happy with our property and with the way that Ellis supported us during the search!" M. Doggen from Frankfurt, Germany. 5 ★★★★★ Rating for purchase an apartment in Porto Colom. "We found this committed brokerage office in the internet. We were always treated in a friendly and courteous manner, our questions were answered competently and the prcessing was professional. Even after the notary appointment Mr. Jens Falke was always available. We would always recommend Mr. Falke and Porta Mallorquina." S. Kind from Wiesbaden, Germany. 5 ★★★★★ Rating for purchase an apartment in Betlem. "Thank you very much indeed Ulrich! I am so happy to have found a beautiful property, thank you again for finding my perfect home. And my parents are just as happy! I will certainly be in touch with you for my next purchase and will always recommend you further. Edd Atkinson from Palma, Spain. 5 ★★★★★ Rating for purchase an apartment in Cala Mayor. 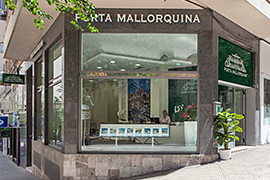 Consulting and sales by the team of Porta Mallorquina in Palma. "Friendly and very competent support during the whole of the sales negotiations. Great conclusion. J. Viereck"
Fam. Viereck from Lüneburg, Germany. 5 ★★★★★ Rating for property for sale in Arta. "Absolutely professional processing of the sale of our finca. Friendly and excellent advice. We will always recommend Porta Mallorquina and would like to thank you sincerely for your service." Ellen and Hans-Jürgen Kuhn from Hahnstätten, Germany. 5 ★★★★★ Rating for house for sale in Porto Colom . "Very pleasant and competent. All commitments were promptly fulfilled - great support which goes beyond the normal brokerage agreement. Fam. Schlanert from Brandenburg, Germany. 5 ★★★★★ Rating for property for sale in Artà. I would like very much to thank Mr. Stanchev for his great service - he made possible that which was almost impossible. Our case was very complicated and protracted and required many extras, but Mr. Stanchev satisfied both parties completely and made the purchase possible in spite of 3 months waiting time! I would always gladly recommend Mr. Stanchev as an absolute professional, and also as a very nice person! Marina Ahrens from Bendestorf, Germany. 5 ★★★★★ Rating for apartment for sale in Santa Ponça. Consulting and sales by the team of Porta Mallorquina in Puerto Andratx. "Mr. Falke did everything for me. Always friendly and accommodating, he kept me up to date and informed at all times. Great professionalism! Everything worked perfectly, many thanks!" Brigitte Wolf from Ramsau am Dachstein, Germany. 5 ★★★★★ Rating for purchase a property in Canyamel. "Dustin understood our requirements and found us the perfect apartment. We had tried other agents but none matched the service we received from Dustin. Thank you for your professionalism, we would strongly recommend!!" Barry Bester from Sandbanks, England. 5 ★★★★★ Rating for villa for sale in Portals. "Five stars for Porta Mallorquina in Arta. We had the perfect contact person in Tanja Boaretto and felt very well looked after. She was there for us the whole time and was always available, and answered all our questions as quickly as possible. From the choice of viewings she chose for us, through the purchase procedure and notary appointment, and right up to moving in everything ran perfectly. Thanks to her help we have now moved into our dream property in Canyamel. Her recommendations for craftsmen, cleaning, and garden services were great, and she was always there to help with advice and assistance. Simone and Jan-Peter Frenzel from Buxtehude, Germany. 5 ★★★★★ Rating for property for sale in Canyamel. "We purchased a small townhouse in Arta and were looked after by Mr. Falke from Porta Mallorquina. Seldom have I experienced such professional and committed support whilst buying a property. Particularly worthy of emphasis is his high technical expertise which gave us an idea of the precise state of the house. Also noteworthy is the skill with which Mr. Falke mediated between buyer and seller, ultimately leading to a successful conclusion. Thanks to the pleasant and very natural nature of the broker my wife and I felt that he understood our requirements, and from the beginning had the utmost confidence in Mr. Falke and, therefore, also in Porta Mallorquina. We sincerely thank you and would always unrestrictedly recommend Mr. Falke." Reiner and Tamara Becker from , Germany. 5 ★★★★★ Rating for purchase a house in Arta. "In February we purchased a lovely town house in the old part of Porto Colom with the help of Porta Mallorquina. The support given to us during the viewing/purchase phase was always courteous and very professional, and we felt very well looked-after at all times. We look forward each time to our next visit to the island." K. Kressel from Hamburg, Germany. 5 ★★★★★ Rating for purchase a house in Porto Colom. "We felt very well looked after by Mr. Falke! A very professional and motivated agent, whom we recommend without reservation! " Thomas Philipps from Algaida, Spain. "While searching for an apartment in MallorcaI I met Britta Niemann from Porta Mallorquina. After my interest in an object another property came up, which was not a problem for Ms. Niemann and she very quickly arranged a viewing. I liked the object very much and with her help the initial bureaucratic problems were dealt with. During this time she was always available at short notice and did her best to make the process as pleasant as possible, and she was also present to assist during the signing of the contract. Many thanks !" Johann Sihorsch from Vettweiß, Germany. 5 ★★★★★ Rating for long term rental of a penthouses in Palma. 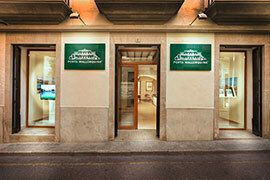 Consultation and rent by the team of Porta Mallorquina in Palma. I would very much like to thank you for your help in renting the apartment in Cala Domenge, and give you some feedback regarding your service. I am very satisfied with your professionalism during the search for a tenant, your short-notice availability (I could contact you at practically any time), and the trouble-free communication during the month it took to find a tenant. I would like to point out that you found the tenant in the relatively short time of around 2 – 3 weeks. For these reasons I will always contact you in future if we have another apartment for rent. To sum up, I very much value your professionalism, speed and personal service. Luis Cardona Collado from ONP, Great Britain. "We were treated in a very friendly and courteous manner and always kept up to date and well-informed during the purchase. Porta Mallorquina Real Estate can definitely be recommended. " Anett Von Deichmann-Greve from Köln, Germany. 5 ★★★★★ Rating for purchase a villa in Santanyi. We are very impressed with Francisca. During the first meeting she did an honest inventory of our apartment and gave us a realistic assessment of its market value with which we were very satisfied. On the basis of this price it took under a week until our property was rented to a solvent tenant. This made it a very pleasant and time-saving experience for everyone involved. What is the use of a broker who promises fictitious prices and never achieves a result. We would choose Francisca any time again! Andreas Gutberg from Bremen, Germany. 5 ★★★★★ Rating for apartment for rent in Cala Mandia. Consultation and rent by the team of Porta Mallorquina Centre. "We met Francisca at an owner's meeting where she was representing another owner. Her competence and knowledge of Mallorcan procedures was very reassuring and apart from that she was able to mediate very cleverly between the German and Spanish owners. Following a conversation after the meeting we gave her a mandate to rent out our apartment, and in less than 2 weeks she produced a solvent, serious tenant. The whole transaction was very professional and she was always available and gave us many good tips. We have no hesitation in recommending Francisca further. " Thank you for the feedback. As I already said, I found your service very professional and the quick response shows me that you understand your job. Many of your competitors, including even the so-called leaders in the business stood out only through their incompetence. You have won the contract to market the property as far as I am concerned. (...). Ralf Külzer from Portixol, Spain. 5 ★★★★★ Rating for apartment for sale in Portixol. Consulting and sales by the team of Porta Mallorquina Real Estate in Palma. We would like to thank you again for your excellent, fast and professional service. The object visited far exceeded our expectations and provided exactly what we had discussed with each other. Thank you very much for your mediation and, of course, for taking care of everything else so ably and quickly in the background. We will always be happy to come back, and would recommend you and Porta Mallorquina anytime. 5 ★★★★★ Rating for house for rent in Llucmajor. 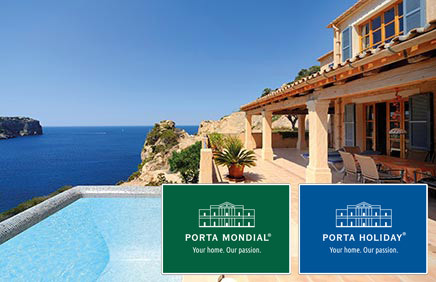 "We had an excellent experience with Dori Bertram and the Porta Mallorquina team. They published beautiful photographs of our home, showed it to qualified buyers, and found the perfect clients to buy the house. Dori followed through on the details for inspections and paperwork, too. i would highly recommend her to other sellers! (and buyers, too!) "
Gerald McDearmon from Mallorca, Spain. 5 ★★★★★ Rating for house for sale in Sant Joan. Consulting and sales by the team of Porta Mallorquina Centre. "We were very lucky to be able to take advantage of the excellent, professional and committed work of our real estate advisor Dori Bertram. She helped us to find our dream home where we now live and are able to watch as our children grow up there. For that we are very grateful! " N. L. from Inca, Spain. 5 ★★★★★ Rating for purchase a house in Mancor de la Vall . "From Porta Mallorquina's portfolio I chose an enchanting apartment of 85 sqm with a large roof terrace in Santanyi. All my questions regarding the property were dealt with by Ms. Zimmerer with absolute courtesy, commitment and competence. I feel as if I am in really good hands and will, therefore, purchase the apartment with a very good feeling. I am looking forward to moving in, hopefully this year, together with my family. Sabrina Goos from Seevetal, Germany. 5 ★★★★★ Rating for purchase an apartment in Santanyí. Once again many thanks for your active support in finding our property in Selva and for helping us to buy it. Porta Mallorquina, but the two of you in particular, have greatly assisted us in acquiring a building plot which exactly meets our requirements. Whilst we were searching but also during the purchase process we all had very intensive and proactive contact, all with maximal flexibility concerning on-site meetings. The sometimes difficult situations, partially caused by the seller, were dealt with in a very focussed and pragmatic manner. No effort was spared to overcome interim difficulties and to find solutions which suited our interests. For all this we thank you, Ms. Antic and Ms. Bertram for your exceptional commitment, and now we are looking forward to designing our new finca! 5 ★★★★★ Rating for purchase a plot in Selva. "After offering our house to Dori to sell everything happened very fast! As a good broker she found the ideal customers for the house and assisted and mediated during the negotiation and purchase process. We are very grateful and completely satisfied! Aina G. from Lloseta, Spain. 5 ★★★★★ Rating for house for sale in Lloseta. "We were often in Mallorca on holiday and soon realised that it would become our new home. After what felt like 3 months non-stop rain in Germany we decided to look for a second residence in Mallorca! 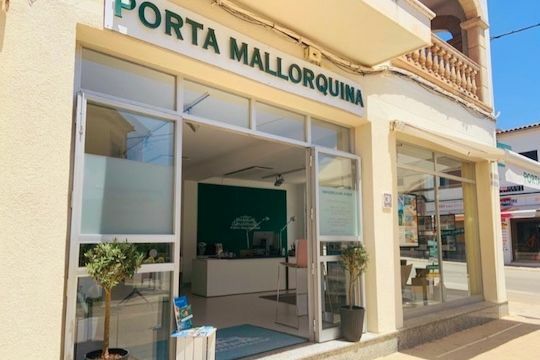 We looked at newspapers, spoke to friends, and searched the internet for an appropriate property, and came upon Porta Mallorquina because its web site, unlike other real estate agencies, was clear and organized and made us feel immediately in good hands! Then we got to know Elias Schöngrundner who looked after us superbly from the first minute. He took lots of time, helped us with our search, made recommendations, told us what to look out for, explained in great detail the whole purchase process in Mallorca, and brought things to our attention which we would never have thought of. When we eventually, after a number of viewings together, found our dream home the whole buying process, from the notar to the takeover of the house, was exceptionally problem-free! All-in-all we would recommend anyone who is looking for a property in Mallorca and, from the outset wants to have a problem and stress-free time during the search, to go to Porta Mallorquina. If possible directly to Elias Schöngrundner in the east of the island or Tanja Boaretto in the north. We would like to thank them both and, of course, the whole Porta Mallorquina team. It could not have been better! Best wishes from often-gloomy Germany. M. L. from Wuppertal, Germany. 5 ★★★★★ Rating for purchase of a villa in Canyamel. "Porta Mallorquina Santanyi helped me to sell my house in Campos, and thanks to Kira's very professional advice and support I felt very comfortable and safe throughout the whole process. Guillermo Roser from Artà, Spain. 5 ★★★★★ Rating for house for sale in Santanyi. I can only pass on my highest praise. From the start the support and processing of all formalities was rapid and reliable. Particularly Kira Schäfer Morell was a very patient, polite and always available personality.With her the ageny has an especially competent staff member. Dear Kira, many thanks once again for your help and advice. We will gladly recommend you and the rest of the team. Sincere greetings from Peter and Sabine O. " Sabine Osthushenrich from Bielefeld, Deutschland. "Generally speaking my experience with Porta Mallorquina was excellent. Noteworthy is the professionalism, the patience and the empathy of Kira, the estate agent who processed the sale of my house. Even after a buyer had been found she stayed on track and when the buyer cancelled she still managed to find a buyer for Porta Mallorquina. In my opinion the whole Porta Mallorquina team is unbeatable. The small details, not only to do with the sale, just have to be given top marks. Thank you Porta Mallorquina, and especially Kira. " Antonio Coquillat from Palma de Mallorca, Spain. We have been very satisfied with your work as our sales agent. Not only did you represent us perfectly while selling our first-line plot, the same was with the sale of our villa - this deal was even more effective. It is such a pleasure to work with a sales agent who is so competent, radiant, taking care of issues promptly, always in a good mood. And there is hardly many agents who have found buyers for two difficult and expensive objects. Evely Gross and Ari Kinnunen "
Evely Gross from Costa de Canyamel, Spain. 5 ★★★★★ Rating for villas for sale in Canyamel. Many thanks for your excellent and very competent support during the purchase of our apartment in Can Picafort. We would particularly like to mention that we were/are very impressed that you, Mr. Hoffmann, even after the purchase have been available to answer our questions and solve our problems. Fantastic! Many thanks and greetings. Dagmar and Frank Roth. " Dagmar und Frank Roth from N/A, Germany. 5 ★★★★★ Rating for purchase a property in Can Picafort. "To date I have had only positive experiences with Porta Mallorquina. During the processing of my purchase Mr. Bieletzke was very helpful, and now that I have entrusted Porta Holiday with the renting of my house the communications have remained excellent. I look forward to further cooperation with the team in Santanyi! " Emanuel Eftimiu from Zurich, Switzerland. "During the purchase of our building plot in 2017 we were supported by Timo Weibel and Mirjana Antic in a very professional, reliable and trustworthy way. As customers we felt guided and accompanied throughout the whole complex process. Timo Weibel dealt with the owner very amiably, clearly and professionally during the whole lengthy negotiation and purchase process and thereby upheld an optimal communication process. Ms. Antic and Mr. Weibel, our sincere thanks for your phenomenal support!! We would recommend you at any time, and have already done so. Kerstin Laubsch-Schneider and Andreas Schneider, Hamburg. " Kerstin und Andreas Laubsch-Schneider from Hamburg, Germany. 5 ★★★★★ Rating for purchase a plot in Felanitx. "We have recently placed our Finca for sale with Porta Mallorquina. Each of the team who came to view were very professional and friendly. I have viewed an apartment with Andrea who was very knowledagable and above all patient. She inspires trust and obviously knows what her clients needs are. I feel comfortable dealing with P M and Andrea." Pauline Schindler from Andratx, Spain. 5 ★★★★★ Rating for finca for sale in Puerto Andratx. "After my decision to sell a property Ms. Andrea Keppler looked after and advised me. I was informed about the risks, the legal process and all other things relating to the sale in a very competent, professional and trustworthy manner. Ms. Keppler, with her firm and very friendly manner was able to form a mutual trust between herself as estate agent and me as the property owner. I am more than satisfied. Many thanks." Angela Larsen from Palma de Mallorca, Spain. 5 ★★★★★ Rating for villa for sale in Puerto Andratx. "I had a pleasure to cooperate with Mrs. Ria Blum. I have to admit that she was very professional. I tried to buy a house through other agencies first and when I called to Mrs Blum I decided to buy a property with her. She was very helpful and carried me through the purchasing process very smoothly. I will always recommend her service and your company as I am really satisfied." Monika Koral-Urbanczyk from Nowy Sacz, Poland. 5 ★★★★★ Rating for purchase a house in Bonanova. "Tobias' determination particularly impressed me. He was always available and took care of things straight away so that communication, and also the motivation to always help us, was very good in every respect. Helpful, open and honest." Carsten Crasemann from Campos, Spain. 5 ★★★★★ Rating for purchase a plot in Cala Mondragó. "Great service and excellent advice and forward planning. Very good contact to architects and other tradesmen. We would do the same again!" Martina Mayer-Mödl from Stockdorf, Germany. 5 ★★★★★ Rating for purchase a plot in Ses Salines. "We viewed a number of properties with Tobias Dangl and he was always very committed, motivated, competent and proactive. Especially positive was his reaction time to our queries and questions. We would always recommend him. " Oliver Dax from Hamburg, Germany. 5 ★★★★★ Rating for purchase a house in Son Serra de Marina. "With Kira's assistance we found our dream home in Campos! Above all Kira's flexibility during viewings and her support in, what were for us completely new, areas in Mallorca such as NIE numbers/broker/bank etc., were a massive help for us. Also, of course, the speedy communication regarding all those things! Steffi und Floyd Flaitz from Aachen, Germany. 5 ★★★★★ Rating for purchase a house in Campos. We thank you for the professional, speedy and competent brokerage and purchase processing of our building plot! Our questions were always helpfully and soundly answered. We are exceptionally happy with your service and would recommend you to anyone. Family Thees from Trier, Germany. 5 ★★★★★ Rating for purchase a plot in Sa Rapita. Two properties viewed and after 2 weeks the second one was purchased – that is definitly a compliment for the estate agent! Dear Jens Falke, sincere thanks for your committed, personal and competent support from the first contact up to the purchase of our finca. After we decided, quite spontaneously and after 12 years of finca holidays in Mallorca, that it was time to own our own finca we intended to start by visiting as many estate agencies as possible, The first on our list was Porta Mallorquina in Arta, and that is as far as we got, and we are still amazed by the trouble-free processing and individual advice. Jens Falke immediately recognized what we were seeking and was able to help and support us in all respects, and in Monica Duran we found a very competent and uncomplicated contact person for the commercial and translation processing. OUR wonderful finca passed the first 'trial-living' with the whole family with flying colours and even surpassed our expectations – so even then everything happened as promised. After the sale Jens was at our side with his great expertise and many contacts – and still is. For this, and for everything else, once again many thanks! Family R. From the Black Forest"
Family R. from the Black Forest, Germany. 5 ★★★★★ Rating for purchase a finca in Cala Mesquida. Together with Dori we bought our house on the island in September 2017. Dori looked after us very competently and professionally and was always on hand to answer our questions and queries, even when she was on holiday. The apparent ease, enthusiasm and enjoyment with which she practices her profession is surely a part of her personality, but also witness to her professionality. Even after the signing of the sales contract Dori was on hand to deal with issues and was open for advice. We would always recommend her to anyone thinking of buying or selling a property. The first prize for real estate agents in Mallorca goes to Dori!!! Jörg und Adelheid aus dem Saarland." Adelheid Meßmer and Jörg Kiefer from Hilden, Germany. 5 ★★★★★ Rating for purchase a house in Lloseta. "I am especially grateful to Natalie de la Piedra for her good work and the support during the long and complicated purchase process. She has always been very patient and has been available at any time to answer many questions that have arisen. Throughout the purchase process, she has transmitted a lot of tranquillity and has been very professional. Joan Miró Coll from Calvia, Spain. 5 ★★★★★ Rating for purchase a plot in Palmanova. 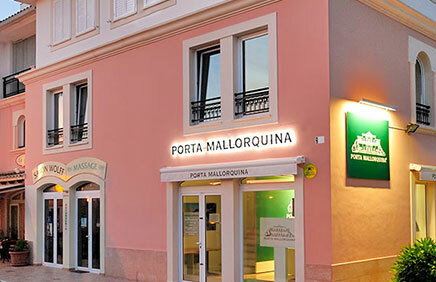 Consulting and sales by the team of Porta Mallorquina in Santa Ponsa. "As I am a lawyer specialized in the field of Real Estate Law, I know several real estate agencies and I keep in touch with many sales executives. When I wanted to put my house for sale, I opted for from my point of view two of the best real estate agencies, and Porta Mallorquina was the one who sold my house. I have to say that the Porta Mallorquina team is very different in relation to other real estate companies in terms of training, preparation, quality and discretion. The communication between the buyer and seller (me) through Natalie was always very fast and efficient. Natalie is known for her closeness to the client, her ability to solve problems, her perseverance, motivation and being always available. I am very grateful for everything she has done for me, and I greatly value all her work. Thanks Natalie!" Beatriz Morell Stemmler from Palma, Spanien. 5 ★★★★★ Rating for villa for sale in Santa Ponsa. Consulting and sales by the team of Porta Mallorquina Southwest. "We bought a two bedroom apartment in Puerto Pollensa through Porta Mallorquina. The team from Pollensa were very helpful and supportive throughout the transaction, from first viewing, to offer and negotiation, and completion. Stephan helped us at every step of the way, in particular acting as translator at the meeting with the Notary, and liaising with the Gestora and Tax Office to ensure everything was paid correctly and on time. It is also good to know that there is someone in Mallorca who is willing to help us if we ever need it. We are very grateful and appreciative of all the support we received, and would happily recommend Porta Mallorquina to others." Garry and Linda Stratton from Suffolk, England. 5 ★★★★★ Rating for purchase a property in Puerto de Pollensa. "We would like to thank you very sincerely for your excellent brokerage of a wonderful property and your great support and service throughout the entire procedure. Jens Falke of Porta Mallorquina always went the extra mile and was a reliable and trustworthy support during the negotiations and processing with the constructors / owners. 5 ★★★★★ Rating for purchase a villa in Canyamel. "Dear Tanja, You are the Best. Just wanted to say thank you so much for all your help an support - you have been truly great. Samantha Ballantyne from , England. 5 ★★★★★ Rating for apartment for sale in Betlem. We would like to thank you sincerely for the extremely competent, professional, and empathetic way in which you handled the sale of our apartment on Majorca. From the beginning to the end of the whole process: initial briefing, viewing of the apartment, preparation of an inventory, guidance and formulation in the preparation of the contract of sale, advice and guidance in talks and negotiations with the purchasers, we felt we were in good hands and had every confidence in your integrity and impartiality when drawing up documentation for the preparation and execution of the necessary contractual papers. We have no hesitation whatsoever in recommending your services to any and all potential buyers/sellers of property in Spain, as your professional competence as estate agent and business person is, for us, without parallel. In our dealings with the purchasers of the property, - both in your presence and when we were alone with the purchasers, we are quite certain that our estimation of your competence and integrity is shared by the purchasers. Patricia and Anthony Fitzpatrick from Oberursel, Germany. "The professionalism and the friendly treatment shown took into account everything required on the part of the seller. Many thanks Miguel Anton, it was a pleasure to work with you and we value your patience and the constant communication we received. Sina Ahidar from Esporles, Spain. 5 ★★★★★ Rating for villa for sale in Esporles. Consulting and sales by the team of Porta Mallorquina Northwest. "Dear Porta Mallorquina team My house in Mancor de la Vall was sold through your office and I would like to especially thank Dori Bertram. With a lot of patience and great empathy she found a family that immediately fell in love with the property. The rest was unproblematic and stress-free as well as being a speedy process for all parties, both buyers and sellers. The cooperation with Dori Bertram was very pleasant and I would always have no hesitation in recommending her. With best regards Dieter Schubert "
Dieter Schubert from Mancor de Vall, Spain. 5 ★★★★★ Rating for finca for sale in Mancor de la Vall. For almost 4 years we looked for the ''right'' property in Mallorca. A year ago we were lucky enough to meet Dorothea Bertram – a real estate agent with great understanding for her customers. She showed us any number of objects in the search for the house which fitted our needs, and now it has happened and we are very happy with our town house. Dorothea and her colleagues Miri Antic and Timo Weber are a very competent, and in a positive sense a very motivated broker team who always have the interests of both the buyers and the sellers in mind during their negotiations. We were always advised and supported in a very friendly manner, even after purchasing. Without the tips and assistance of Dorothea and her colleagues we could not have adapted so quickly in a foreign country. To sum up, competent, friendly, and overall very recommendable. Anke Quittschau and Markus Beilmann"
Anke Quittschau and Markus Beilmann from Heidesheim, Germany. 5 ★★★★★ Rating for purchase a house in Porreres. Having sold my property please accept my most sincere thanks for the excellent service and cooperation. In a very short time my wish to sell was fulfilled, all organisational questions were answered, and I felt very well looked-after concerning all my thoughts, questions and wishes. Even from a distance of 1500 kms I was able to appreciate the commitment and willingness of the very capable staff. It was simply enjoyable, and should I ever be in the position of searching for or buying an object on Mallorca again, Porta Mallorquina will definitely be the first place I visit. Many thanks once again to you all!" Andreas Meier from Quickborn, Germany. 5 ★★★★★ Rating for house for sale in Cales de Mallorca. "I would also like to sincerely thank Ms. Seidenstücker who, with an eye for seeing the correctness and beauty of a property, helped me immensely with my decision and was always there for me when needed." Thomas Kind from , Cyprus . 5 ★★★★★ Rating for purchase a villa in Sa Torre. Consulting and sales by the team of Porta Mallorquina South. My sincere thanks for the very professional and friendly assistance during my search for a property, and for the subsequent and equally professionally implemented and very well conducted support during the purchase of the object. My special thanks to Ms Kira Schäfer-Morell who, with her professionalism and friendliness, looked after me from start to finish. I would be glad to work with you again." "We were looked after by Mr. Bieletzke who was very friendly and competent at all times, and in all matters concerning the purchase of our property was always available and helpful. Many thanks for the pleasant cooperation!" Stephanie und Thorsten Röncken from Nürtingen, Hamburg. 5 ★★★★★ Rating for purchase a villa in Porto Petro. Without your help I would not have a house in Vallgornera. Without your help the sale would have been a catastrophe. Without your help I could never have managed the paperwork. Without your help the renovation would not have happened. Without your help nothing would have gone smoothly. You were always there for me and I even called you in the middle of the night (sorry). As a non-Spanish speaker it is not easy but you accompanied me from A – Z and you are still doing so, although the sale was completed long ago. Thank you, thank you! You are great, honest, and a great asset to Porta Mallorquina. I wish you all the best, and do carry on with your energy and enthusiasm. Should anything change, for example resale or a new purchase, I sincerely hope that you will be my contact person. Once again, all the best – I can not say that often enough. Silvia Dettinger from Nürtingen, Germany. 5 ★★★★★ Rating for purchase a villa in Vallgornera. "The support given to us by Ms. Schäfer-Morell, from the viewing of individual objects until after the final notary appointment, was in every way exemplary. All outstanding issues were immediately clarified, necessary documentation produced, and even additional purchases were organised so that the service in terms of a comprehensive support was always paramount – our sincere thanks, and carry on the same way!" Torsten Lehmkühler from Reutlingen, Germany. 5 ★★★★★ Rating for purchase a house in Cales de Mallorca. Now that we’re in the summertime, my wife Charlotte and I have started to enjoy the pleasures of Mallorca in our lovely home in Betlem. As you both know very well, it has been a ‘rollercoaster’ to get everything in place. The communication with Gary, the price-negotiations, the time-zone difference with Canada, the exchange-rate complications, the payment, the notary-meeting, etc. Unbelieveable!! But we made it! I really want to recognize that this would all just not have been possible without the super work done by you both and especially the continued optimism, courage and perseverance of Tanja! Charlotte and I have really appreciated very much your assistance in this difficult project. Now that we can enjoy Betlem, it all has become a rather enjoyable souvenir (but at the time it has cause us some real sleepless nights… ). Thanks again Tanja & Peter for the very good cooperation. We’re now refurbishing the house and may reach out to you later if we decide to rent out or so. Wishing you a great summer and looking forward to seeing you again – maybe for a coffee or drink in Arta! Charlotte & Christophe Vandoorne from Wezembeek- Oppem, Belgium. 5 ★★★★★ Rating for purchase a villa in Betlem. "With this letter we would very much like to thank the work done by Ms. Natalie de la Piedra and the team of Porta Mallorquina in Santa Ponça for their work and effort during the sale of our apartment, and for their speed and efficient response at all times when responding to our expectations and requirements. For these reasons we have pleasure in recommending Natalie and her team for their attention, kindness and professionalism." Arantza and José Ignacio Gutiérrez from Santurtzi, Spain. 5 ★★★★★ Rating for apartment for sale in Santa Ponsa. "Dori's treatment of us, both professionally and personally, was excellent and I felt as if I was part of the sales team. We were working together with the same aim – to sell my house and this made the work we did together flow. Dori brought the clients and I provided everything she needed – documents, plans, photos etc. As the sale came to its close we had, of course, to negotiate but always with the feeling that we all would be the winners. I believe that at this stage Dori really proved her worth as there were times when both the sellers (she and I), and also the buyers, were close to going back on the deal. Thanks to Dori the sale went through. On the personal side we always had the feeling that Dori was interested in the emotional situation which arises when a family home is sold, and the personal feelings of everyone involved, which is very important as in many cases the sale of a house is not just a 'business deal' but also has a dramatic background which has to be dealt with, and this Dori did in an impeccable manner. Finally, sincere thanks for your effort and the time you invested, and please accept our congratulations for a job very well done. 5 ★★★★★ Rating for house for sale in Alaró. A short note from St. James’s Place to say thank you for everything you did for us. -your perseverance got us the finca in the end! We have been thoroughly impressed with your straight talking professionalism throughout the process. You understood what we wanted and worked so hard to find us the right property. We can’t thank you enough and would be happy to provide a reference to any other British couple who were thinking of buying on the island. Katie Thorpe and Andrew Jones from London, England. 5 ★★★★★ Rating for purchase a finca in Esporles. "We would like to thank Dorothea for her continuous availability and complete professionalism throughout the entire purchase process. We felt immediately in good hands and well looked after and were very happy with the way you kept us up to date with all the details right until the end of the purchase process! Thank you very much for everything!" Pedro Gamundi Borrás from Puerto Pollensa, Spain. 5 ★★★★★ Rating for house for sale in Alaro. "I had been looking for a holiday property in Mallorca since 2014 but, with what felt like about 300 real estate agents, the choice was gigantic. The abundant real estate platforms in the internet provide a good market transparency, and many of the agents offer the same objects. 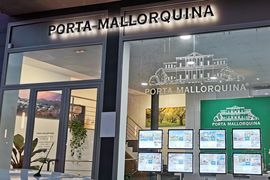 Porta Mallorquina has a very good internet presence and had some properties which were interesting to me so I contacted them by email, and Ms. Dorothea Bertram got in touch with me by telephone. She recorded my wishes and expectations very comprehensively and sent me several exposés. Important for me were always the negative characteristics of a property as the viewing appointments are usually very time-consuming for both parties, and I prefer to know from the start what to expect, both positive and negative. Dorothea Bertram is one of very few estate agents who managed to understand my exclusion criteria, and during the viewings always pointed out the negative characteristics of the properties. This honesty is not always present in real estate brokers although it makes the property search much more efficient. In this industry Ms. Bertram is, because of her honesty and individual nature, a special personality who does her job very successfully with professional restraint. The fact that we had not found the right property even after 5 viewings was not the fault of Ms. Bertram's strategy, but rather of my demands and requirements in relation to my budget. I continued to observe the market through a number of internet portals and, finding a very interesting object, I contacted Ms.Bertram once again. Luckily Porta Mallorquina also had the property in their portfolio. At short notice Ms. Bertram arranged a viewing appointment and prepared the viewing with her usual professionalism and ultimately the purchase was finalized. With Dorothea Bertram Porta Mallorquina has a professional, competent, loyal and very humane member of staff, and the successful completion of the sale is completely due to her. My dear Dori, thank you again for the professional and successful cooperation, and we are looking forward to staying in contact with you and hopefully spending many pleasant evenings together on the terrace in our little paradise. I wish you the continuing success which you greatly deserve! Ralf Meyer from Gevelsberg, Germany. 5 ★★★★★ Rating for villa for sale in Mancor de la Vall. "Mr. Timo Weibel is one of the most professional I have met in over 35 years in the construction business. Even before the sale he was continually interested in my house, asking about it regularly and discussing what we could do to sell it. Once a buyer was found he helped to clarify all the documentation so that the client had peace of mind during their purchase. Without any doubt I would definitely work with him again. Thank you very much Timo"
Mr. Tim Weibel's 'team' - That is what I would call it - helped us greatly in finding our dream property in Mallorca. The circumstances of the purchase were by no means easy as certain official registrations were missing which had to be subsequently made. Mr. Weibel accompanied us excellently throughout the difficulties, and with a remarkable and reassuring influence - for myself as the buyer - always found professional solutions to the problems. His commitment to making the purchase possible was incredible. I can only thank him once again, also in the name of my overjoyed family. Frank Schmauß from Frankfurt am Main, Germany. 5 ★★★★★ Rating for purchase a finca in Felanitx. "During the purchase of our property in Mallorca we were assisted by Mr. Weibel and his team and were completely satisfied. Great service, and a friendly and very competent and reliable team!" Ralf Ferlmann from Cologne, Germany. 5 ★★★★★ Rating for purchase an apartment in S'Horta. Once again, thank you very much for the professional processing of the purchase of our apartment in Santa Ponsa. Thanks to your help we found our dream property. You were always there to help us in all matters, always competent and friendly, and we felt safe in your hands at all times. Family Wieczorek from Osnabrück, Germany. 5 ★★★★★ Rating for purchase an apartment in Santa Ponsa. We bought our lovely apartment through you on the 23.06.17 and would like to thank Ms. Natalie de la Piedra for her absolutely competent and outstanding work. With her patience and understanding she was able to assess our needs and wishes precisely and find us the perfect property. Bearing in mind that we also met and got to know an endearing and lovable person! Marita and Dieter Ragas from Cologne, Germany. "After the first viewing of a property Mr. Falke had assessed our needs and wishes so well that he presented us with our dream-finca in a wonderful location at the second meeting. He was able to answer all our questions at almost any time of the day and night. Thanks to Mr. Falke's and Ms. Duran's tremendous support and competent assistance throughout the whole transaction, the notary appointment was able to be carried out only a few weeks after the first viewing and we were able to spend our first week in paradise. We feel that we were all-round well looked after and advised! Sandra and Thorben Petersen from Velbert, Germany. 5 ★★★★★ Rating for purchase a villa in Cala Pi. We were more than happy with the advice, organization and assistance which were provided during our purchase of the apartment. Ms. Antich is an absolute sales professional with heart and mind. Mr. Weibel is also, thanks to his perfect Spanish and his knowhow, an absolute must for anyone intending to purchase real estate in Mallorca. We are very happy to have had such professional people at our side and are confident that in the future they will also be there to support us with advice on important issues. It simply could not be better! Frank Schacht from Freiburg, Germany. 5 ★★★★★ Rating for purchase an apartment in Vallgornera. "It has been an absolute pleasure to work with Timo Weibel. He is the most trustworthy real estate agent I have ever come across and he really went out of his way to help us to buy our dream house. Even after our purchase he has been super helpful with our with all sorts of administrative stuff! Would highly recommend anyone to work with Porta Mallorquina and Timo and Miri in Santanyi in particular." Emilie Tabor and Jonne de Leeuw from Amsterdam, Netherlands. 5 ★★★★★ Rating for purchase a house in Cala Llombards. we had an apartment for sale in Cala Vinyas which you, Ms. Theobald, marketed for us. We were very satisfied with the process, everything went very rapidly and you kept us constantly informed about what was happening. The whole process worked wonderfully and we are very satisfied. We would like to take this opportunity of thanking you very much for the unproblematic and speedy transaction and, as we have already indicated to you, we will definitely return in the case of any further real estate issues. Your work was very professional. Karl-Heinz Katzner from Cala Vinyas, Spain. 5 ★★★★★ Rating for apartment for sale in Cala Vinyas. With this letter we would like very much to thank you for the first-class advice we received from you as a real estate broker with Porta Mallorquina. During our search for a finca with the possibility of keeping horses you showed much commitment, competence and tirelessness whilst presenting us with many wonderful properties, and sent us emails showing the objects in advance. Even before the viewings we had built up such a good relationship on the phone that we were not only glad to get to know you personally, but also had the feeling that we were visiting a good friend. Our viewings were harmonious, everything was perfectly prepared and we had a great time. In the end we decided to build ourselves once again, because we enjoy doing it, (and because we feel we need a challenge again ;-)), and with your help we bought a large, magnificent, property near Llucmajor (at this point, many thanks to Gabriela who, as a second professional advisor, was involved and was also very much appreciated). Also during the purchase transaction, including the notary appointments, you looked after us competently and supported us professionally in all formalities. Thank you very much for your reliable and sincere manner, we felt very comfortable at all times with you and Porta Mallorquina and have already recommended you to two families from our circle of friends. We are already looking forward to be able to drink a toast with you and a good wine to the completion of our Finca! Tina and Stefan Evertz from Solingen, Germany. 5 ★★★★★ Rating for purchase a plot in Llucmajor. I have bought an apartment in Mallorca via your real estate agency in Apríl 2017. I would like to thank your agency, and especially the real estate agent, Mrs. Sabine Theobald from the office in Santa Ponsa, for fast and quality real estate transfer services. Her willingness and human attitude to help me in a foreign country during the actual transaction of buying a real estate has pleasantly surprised me and it is a great thanks for it. I will definitely recommend your agency to all my friends who will be looking for real estate in Mallorca. Roman Masar from Bratislava, Slowakei. 5 ★★★★★ Rating for purchase an apartment in Cala Vinyas. As we indicated a few days ago, the property at Santanyi has now been finalised by the notary so that our 2 years of searching is now coming to an end and we can now focus more on building a house. Over the last one and a half years you have supported us very intensively and with great patience and we would like to thank you sincerely for all your time, assistance and excellent advice! For us Arta is still very much associated with your name and the next time we are in the area we will gladly contact you and maybe we can meet at that nearby tapas bar? We wish you lots of luck and success, both privately and professionally – you do an excellent job! Marion and Alexander Mathy from Glattbach, Germany. 5 ★★★★★ Rating for purchase a plot in Arta. "I found Melitta Tiefenbacher to be a very committed real estate agent with good service, flexibility and customer-orientation." Fabian Fischer from Munich, Germany. 5 ★★★★★ Rating for long term rental of an apartment in Palma. I would like to thank you for the excellent work of Ms. Tanja Boaretto, who sold my finca with great skill and empathy. The buyer wished to withdraw from the sale, but thanks to her consistently friendly, courteous and very competent attitude she was able to convince him to change his mind and continue with the purchase! I am more than satisfied with her work! Dr. Madelon Gellenbeck from Düsseldorf, Germany. 5 ★★★★★ Rating for finca for sale in Arta. "After having our property in Esporlas on the market for several years it has finally been sold. A large part of the sale was thanks to the effort made by Mr. Miguel Antón who spent a lot of time visiting the finca with a large number of customers, always seeking to satisfy both the buyer and, in this case myself as seller. I would very much like to make the point that I was very satisfied and consider Mr. Miguel Anton a very good professional. Pere Carbonell Garau from Palma, Spain. 5 ★★★★★ Rating for finca for sale in Esporles. Consulting and sales by the team of Porta Mallorquina in the Northwest. "Miguel was very attentive at all times pending the operation. I value his professionalism and his patience which made the purchase possible." Carlos Ruiz from Llucmajor, Spain. 4 ★★★★★ Rating for purchase a finca in Esporles. "We started with the search for a house in Mallorca in summer 2016 although we were not sure at the time whether we wanted to invest in Mallorca or in the south of France. We did not know Mallorca very well and were unsure what would be the best place to live both in both summer and winter. We then checked on several real estate portals and found about 100 properties from which resulted in a long list of about 15 objects , before we came into contact with Dorothea (Dori) Bertram. Dori listened for a long time during the initial telephone conversation and realised what was important to us. After the conversation, it was clear that several projects we had selected did not suit us. Some of the objects suggested by Dori were unknown to us, and one of which was the finca we ultimately acquired . At the end of October we viewed 5 objects with Dori. Her "Favourite", a large finca at Selva with a lot of surrounding land , was one of them and now belongs to us. Dori was very professional in the negotiation and buying process, keeping in close contact with the seller, his lawyer and our attorney, and providing all documents for the inspection and approval process necessary for the acquisition of a "finca rustica". This was extremely helpful in the situation , where the seller lived in England and the buyer lived in Germany and both were not Spanish speakers.. It was Dori' s idea , for example, to require the seller to contractually document the technical equipment of the finca and all service providers. A great tip! Without this support, the transfer of ownership would have been much more difficult. In the end, the certification took place after 5 months after inspection and 4 months after completion of the preliminary contract. The service then went on. In the four days after the certification, Dori supported us with personnel for the house, the garden and the pool as a Mallorca expert and interpreter. She helped us with the purchase of furnishing s and introduced us to to our direct neighbours. Through the process,we became friends , and that is the best side effect! We were very nervous before the certification but ultimately, thanks to Dori, we managed to take over a very demanding object in just four days and to fly home with the relaxing feeling of knowing that everything was in good hands. Gregor and Christine Kunz from Berlin, Germany. 5 ★★★★★ Rating for purchase a finca in Selva. "We were looking for an apartment in Mallorca, and viewed one with you. The visit was well prepared by Mr. Maximilian Pfränger, but unfortunately the seller withdrew the offer. The broker, however, spared no effort and with total commitment found a similar apartment which, upon viewing, corresponded completely to our requirements. We decided to buy the apartment, thanks to his expert mediation and his cooperation with both the seller and buyer. Furthermore, the complete transaction process with the authorities, etc. Was flawlessly carried out together with Monika, who did everything possible to enable a simple purchase and transfer, even without Spanish. If we buy a property again we would not hesitate to go back to Maximilian and Monika - they were our partners and not just brokers! A great team! Gisela u Wilfried Stambusch from Hunteburg." Gisela and Wilfried Stambusch from Hunteburg, Germany. 5 ★★★★★ Rating for purchase an apartment in Puig de Ros. The assessment is very positive and because he had our interests in mind ,and thanks to his availability and sympathy, the goal was achieved. I hope to continue to work with the same efficiency with him and with Porta Mallorquina. Joana Maria Coli Noguera from Alcudia, Spain. 5 ★★★★★ Rating for long term rental of a villa in Alcudia. Consultation and rent by the team of Porta Mallorquina in Arta. Chris Beney from Bournemouth, England. 5 ★★★★★ Rating for purchase an apartment in Can Pastilla. "Miguel made the process of buying our home in Mallorca so much easier for us. He was always available whenever we needed to talk, he would always answer the phone, even after working hours. Many times we would be talking on the phone until after 11pm at night. Miguel provided us with really good advice throughout the purchase process. In all honesty if it wasn't for Miguel and the help he provided us I am not sure we would have ended up buying our dream home in Mallorca. I have never met a more knowledgeable, professional or more friendly estate agent than Miguel, and I don't think I ever will! Neil Lewis from , England. "The rather quick sale of our "unique" finca was very much catalysed by Miguel-Anton's attention to the prospective client's needs and dreams. He proved to be a master in subtly guiding the seller and the buyer towards a win-win agreement. My sincerest thanks and appreciation to the team of Porta Mallorquina, and especially to Miguel-Anton who " made it happen". Please feel free to use my comments as you see fit. Albert Collier from Palma, Spain. I wanted to thank you some time ago for the help and support you gave me during and after my purchase of the finca in Santa Ponsa. I will do so now. As you know, I came to Mallorca for the first time in May 2016 for a week's holiday, only to briefly look around and definitely not to make a decision about the the purchase of a property. That's why you picked me up in Palma de Mallorca. I came from Cala Ratiada and that day we viewed 5 properties in Santa Ponsa , one of which I found quite nice. As I said, I really did not intend to decide so quickly but thanks to your help in negotiating with the seller, and your conviction that I was doing the right thing, I decided. In September the house was mine. Thank you very much for your help and support, it is good to know that there are people you can rely on. Wishing you much success and nice customers. Maria Safonova from Mönchengladbach, Germany. 5 ★★★★★ Rating for purchase a property in Santa Ponsa. "Ria Blum looked after me perfectly and I was very satisfied with her service. Sincere thanks Ria. Best regards Hans"
Hans Lippisch from Laatzen, Germany. 5 ★★★★★ Rating for purchase an apartment in Ciudad Jardin. "We had been looking a long time for a property in a specific location when we found the house Porta Mallorquina put up for sale in our desired area. From the quick reply to the first contact to the great attention in the whole buying process we are very happy with the professional service provided by the people of Porta Mallorquina. Andreas Arkling from Stockholm, Sweden. 5 ★★★★★ Rating for purchase a villa in Portals Nous. We would like to take this opportunity to thank you once again for all you did. Your commitment was absolutely great, during and after the sales process. Your daily engagement is not a matter of course and we felt very well cared for and supported at all times, no matter when and with what we confronted you. Thank you for constantly striving to fulfill our desires and for your active support. Jochen Ball and Nicole Schumann from Frankfurt am Main, Germany. 5 ★★★★★ Rating for purchase a house in Cala Ratjada. "During the sale of our apartment in Cala Ratjada, we were supported very professionally by Mr. Falke. Everything happened very quickly and satisfactorily, and even after the sale Mr. Falke continued to assist us. Many thanks and sincere greetings from Lüneburg. Anne and Dietmar Weyrosta from Lüneburg, Germany. 5 ★★★★★ Rating for apartment for sale in Cala Ratjada. Many thanks for the Christmas greetings. My wife and I wish you a very merry Christmas and a happy and peaceful time with your family and friends. Many thanks again for your pleasant and competent assistance with the purchase of the house and please pass on our thanks to Ms. Duran for the great great job she did. Family Friemerding from Merzen, Germany. 5 ★★★★★ Rating for purchase a house in Betlem. "Having trusted Porta Mallorquina for years with the rental of my house on several occasions, and because of their professionalism, it was clear to me that it was this real estate company that I trusted to sell my house. From the initial contact up to the sale of the house, Ria and her colleagues have been excellent professionals, with very fast response times, and were very serious in all their efforts. It was a great satisfaction working with them. Thank you"
Belén Sanz from Palma, Spain. 5 ★★★★★ Rating for apartment for sale in Ciudad Jardin. Once again, many thanks for the professional processing of the sale of our Finca in Arta. All commitments, agreements, tips, arrangements etc. were always more than correctly observed, and you were at our disposal at all times with advice and assistance. We felt very well cared for and have no hesitation in recommending you at any time. Keep it up !! With friendly greetings Bärbel and Dieter Wagner "
Bärbel and Dieter Wagner from Dorsten, Germany. We would very much like to thank you for your help and trouble-free cooperation during the sale of our little house in Mallorca, in Cala Ratjada. The first-class presentation of the photos of the house by a professional photographer was a highlight, but we would also like to emphasize that the professional support provided by Ms. Boaretto and Mr. Falke ensured that we the sellers, as well as the purchasers of the house, were completely satisfied. We are very pleased to further recommend the Porta Mallorquina team and wish you continued success. Family Teigeler from Oelde, Germany. 5 ★★★★★ Rating for house for sale in Cala Ratjada. We would like to thank you for your professional support during the purchase of our property in Alaro. It was and is a joy to work with you - you are readily available at all times, react speedily and take great care of everything, and we had the feeling of being very well cared for during the whole process. JF and DS from Hilden, Germany. "We were very well looked after, and only shown the objects we selected. The broker concerned, Mr. Otte, looked after us excellently and together with his colleague, Ms. Fruhsdorfer, ensured a smooth process from the preliminary contract to the transfer of ownership. Even after completion of the sale we received continuing support in all matters and questions, going far beyond what can normally be expected. We can certainly thoroughly recommend Porta Mallorquina. Gabriele and Rudolf Riek from Bissingen an der Teck, Germany. 4 ★★★★★ Rating for purchase a villa in Playa de Palma. "Porta Mallorquina has produced an outstanding expose with beautiful photos, thank you so much! A big thank you also to our broker H. Falke for the exceptional support and cooperation during the sale of our house. Worthy of mention is also the his great assistance in obtaining the various documentation needed for the execution of the sale. Up until the notar appointment we were in permanent email, whatsapp or telephone contact. This was a great help to me as I could not be on site until the day of the appointment. Claudia Oberberger from Regensburg, Germany. 5 ★★★★★ Rating for purchase a villa in Costa Canyamel. We enjoyed everything! Your were very professional and very nice and friendly. Each stage has been completed with great speed and efficiency… and smile! And in the office of the notary, we felt well supported, in good hands. So… we will keep this as a great memory and the best start we could imagine for this beautiful adventure. Thanks, again, for everything! Sylvie Neeman from Clarens, Switzerland. 5 ★★★★★ Rating for purchase a plot in Canyamel. We would like to take the opportunity to thank Miguel Anton and Porta Mallorquina for helping us finding and buying our property in Valldemossa. It was the first house we saw, and we felt instantly...it's the one! However we "had" to see other houses to know that we were right. Before meeting Miguel and Porta Mallorquina we had no experiences in the real estate market on the Island. We have been feeling well advised, Miguel showed us a lot of competence, friendliness and professional attitude during the whole sales process. We had a feeling of honesty and transparency from Miguel's side, he always informed us by email and telephone, step by step, up until the day of the sale. Miguel also has helped us quiet a lot after buying our property, due to distances, us living in Denmark, we are grateful and we really appreciate his afford. We would highly recommend Porta Mallorquina and specially Miguel Anton, to anyone wanting to buy a property in Mallorca. Morten Schinkel from Hoersholm, Denmark. 4 ★★★★★ Rating for purchase a house in Valldemossa. "During the search for, and final purchase of our property in Mallorca, we were very well looked after by Dorothea Bertram and in a later phase by Stefanie Bruns (both Porta Mallorquina). The cooperation was personal, very pleasant and always characterized by honest efforts to find something really suitable for us. In this they succeeded. Ms. Bertram and Ms. Bruns were always approachable and, even after the acquisition of the property were ready to support us with incredible commitment in all administrative and practical matters. Simply excellent! Our sincere thanks and praise. R. and M.E. from Stuttgart, Germany. 5 ★★★★★ Rating for purchase an apartment in Palma City. We would like to thank you sincerely for your great support during the purchase of our house in Mallorca. You supported us throughout with your professional knowledge and all the necessary contacts. We felt well looked after the whole time, and are very happy that you could help us to fulfill our dream! We wish you and your team all the best! Tim Raab from Zarpen, Germany. 5 ★★★★★ Rating for purchase a villa in Cala Mesquida. We would like to sincerely thank you for your competent, professional and, above all, your uncomplicated service. For a long time we have been looking for a small finca in Mallorca, and eventually found it thanks to Porta Mallorquina. Since April you have supported us in all matters, and during that time we built up a very personal and trusting relationship, for which we are very thankful. You were at our side with advice, were always available, and looked after our affairs in an outstanding way. Many thanks also for accompanying us to the notar and lawyers' meetings. We hope that we will meet again soon in Mallorca, and sincerely thank you for everything. We will, of course, recommend you at any time. Jutta and Thomas Trapowski from Nettetal, Germany. 5 ★★★★★ Rating for finca for sale in Campos. We would like to sincerely thank you for your kind and very competent advice and assistance and your exceptional commitment with respect to the finca in Llucmajor. We are very happy that our rental of this beautiful Finca was settled to the satisfaction of all parties. Now we are looking forward very much to moving in. Elmar and Dagmar Neikes from Berlin, Germany. 5 ★★★★★ Rating for long term rental of a finca in Llucmajor. Consultation and rent by the team of Porta Mallorquina in Llucmajor. "We thank Natalie de la Piedra for her warm and friendly service during the finding, processing and following-up of our purchase. Her professional, serious and straightforward manner helped us to find a suitable object in a short time. Even after completion of the purchase Natalie was very helpful and supported us with action and advice in the execution of administrative affairs with the authorities. Many thanks once again! 5 ★★★★★ Rating for purchase villa in Costa de la Calma. I would like to thank you sincerely for the successful completion of the sale of my apartment. The success was due in full to your expertise, your permanent accessibility and your obliging and helpful nature. Wolfgang Altemöller from Baldheim, Germany. I would very much like to mention how pleased I was with the Ms. Thoebald´s highly dedicated and professional management. Ms. Theobald accompanied me throughout the purchase, in procedures very unfamiliar to me and I do not hesitate to highly recommend her. The property in question is an apartment on the seafront in Cala Vinyes. Beatrix Pollak from Vienna, Austria. During the recent sale of our apartment we were ably supported by Ms. Theobald of Porta Mallorquina. Ms.Theobald does her job very professionally and absolutely conscientiously. We can completely recommend Sabine Theobald,and also the company Porta Mallorquina, who approached the sale mandate with a strong commitment and full of drive. 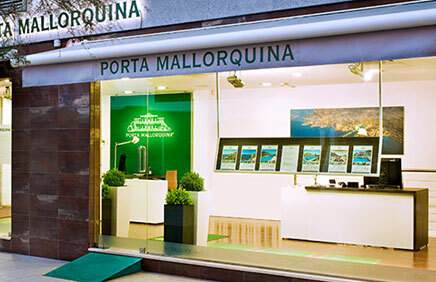 Compared with another well-known brokerage firm in Mallorca Porta Mallorquina fares better by a wide margin. Heinz Ineichen from Merlischachen, Switzerland. With regards to our visit to Valdemossa on Mother's Day, which we all probably remember. We decided on another object which we rented for a year in order to test both the lifestyle in Mallorca and our personal situation. After that we will decide exactly what we want to do. This letter is to thank you very, very much for your efforts and dedication. We fondly remember your kindness and your patience, and we still have business partners who are entertaining similar thoughts. Maybe something will arise. I wish you a beautiful day, and a perfect mother's day next year! Susanne and Johann Gross from Vienna, Austria. 4 ★★★★★ Rating for long term rental of a finca in Valldemossa. Consultation and rent by the team of Porta Mallorquina in the Northwest. We would like to thank you once again for your competent, uncomplicated and professional service. After searching intensively we finally found, thanks to your kind help, our little country house in Sencelles. Your excellent recommendations as the sales contract proceeded, your continued approachability even after the contract had been concluded - you were always there for us, simply excellent. We will definitely recommend yourself and Porta Mallorquina anytime, and look forward to seeing you again soon on Mallorca. I. Ritinger and S. Schmidt"
Ivanka Ritinger and Stefan Schmidt from Kelsterbach, Germany. 5 ★★★★★ Rating for finca for sale in Sencelles. "We had looked at several properties and we found Mr. Falke´s advice and assistance very professional. At no time did we have the impression that we were being pressured into the sale. The processing of the purchase contract and the accompanied visit to the notary were also excellently organized, including a German translator so we knew at all times, in detail, exactly what was happening. We also received super service and support during the preparation of the necessary official documentation. We felt that with the support of Jens Falke we were in good hands, and a final pleasant surprise was the bottle of Champagne presented to us at the notary with which we later toasted our new home – a great idea which made us very happy. Thanks again to Jens and his team for everything . We can fully recommend Porta Mallorquina." Family H. from Tamm, Germany. 5 ★★★★★ Rating for purchase an apartment in Font de Sa Cala. "During the sale of my house in Mallorca Mr. Falke supported me wonderfully from beginning to end. He was always available when needed, and I was always kept up to date with the current situation. He organized all the necessary bureaucratic documentation up to the final signatures to my complete satisfaction. I can and would recommend him at any time. Karin Toppan from Unna, Germany. 5 ★★★★★ Rating for villa for sale in Canyamel. I was on the island last week and was very pleased to see that almost all the complaints have been rectified by the landlord. I would like to take this opportunity to thank you sincerely for your efforts – mediating in the rent of an apartment is one thing, but ensuring customer satisfaction after the sale is completed is another. If I should ever need the help of a broker again you will certainly be my first choice. Should we ever meet each other again on the island I would be very happy. Axel Dammann from Garbsen, Germany. 5 ★★★★★ Rating for long term rental of an apartment in Santa Ponsa. Consultation and rent by the team of Porta Mallorquina in the Southwest. First of all, during the sale of my house Porta Mallorquina documented the property very well, the photos were very good and everything was carried out completely correctly. Although customers are very difficult to find due to the bad economical situation the sale was carried out with trust and confidence, and after defining the price the sale went through with respect for both parties. Natalie kept both parties supplied constantly with information by email and telephone until the day of the notary appointment. We cannot fault a single thing about the handling of the sale of our house, necessary due to retirement complications and the desire to be closer to our family. Gerard Freixinos from Costa de la Calma, Spain. 5 ★★★★★ Rating for villa for sale in Costa de la Calma. Thank you sincerely for your uncomplicated, reliable and trustful management during the purchase of my apartment in Son Caliu. My new home has greatly exceeded my expectations but without your extraordinary empathy and your expert advice, I would never have found this tranquil seaside place. Your efforts have provided me with a great quality of life. I hope you remain faithful to your vocation in real estate and make many more customers as satisfied as myself. Patrizia Trolese from Berlin, Germany. 5 ★★★★★ Rating for long term rental of an apartment in Son Caliu. Consultation and rent by the team of Porta Mallorquina Southwest. We would like to thank you once again for your engagement and your competent, uncomplicated and professional service. After years of searching we have finally found our dream apartment in Palma. The lawyer you recommended to us was also perfect and we were able to settle the purchase very easily and efficiently. Be assured that we would definitely recommend both you and Porta Mallorquina at any time. Elaine and Frank von Arx from Gümligen, Switzerland. 5 ★★★★★ Rating for purchase an apartment in Palma. "Dorothea Bertram handled the recent sale of my country house near Selva. From our first meeting I had an idea she would be the broker to produce the buyer. She has a good understanding of life in rural Mallorca and in particular of the Tramontana. She took the time to understand the house and it's particular appeal and then found clients who were looking for exactly that. This resulted in no wasted viewings and a sale. Both the clients and I enjoyed working with her and it was a good experience all round." Graham Pearson from Dorset, England. 5 ★★★★★ Rating for finca for sale in Selva. I am very grateful for the good job you have done with the sale of my flat; I know it has not been easy because the property is a little special and you had to find a specific buyer, which you have. Thank you very much. Luis Fariña "
Luis Fariña from Palma, Spain. 5 ★★★★★ Rating for purchase an apartment in Cas Catala. "Natalie de la Piedra from Porta Mallorquina helped me a lot in finding the right Apartment in the South-West of Mallorca. She provided me with a good short-list of Apartments which met my criteria. She arranged all viewings very efficiently in the right timeframe, so that we had a very good overview of the market within a short period of time. She gave her honest opinion on the strength and weaknesses of Apartments and the local area without trying to influence. She made a good job with the negotiations and even helped a lot after the actual buying. It really was a pleasure to work with Porta Mallorquina and Natalie de la Piedra. Alex von Zimmermann from Hamburg, Germany. 5 ★★★★★ Rating for purchase a property in Cas Catala. "Mr. Hawk was there for us around the clock, always responded very quickly to our emails, calls or SMS, and assisted us at every step to the final conclusion of the contract and beyond with help and advice. We felt exceptionally well-looked after and advised , and would not hesitate to purchase another property through Porta Mallorquina. Thank you for everything, and keep it up. Eva Lorscheid from Cologne, Germany. 5 ★★★★★ Rating for purchase a house in Artá. "We had the best experience with Porta Mallorquina. Mrs. Marlene Fruhstorfer provided competent advice and patiently answered all our questions in detail even after the purchase deed had been signed - something we are especially grateful for. Unfortunately, we often experienced that after the notary signing the interest promptly becomes less and soon disappears completely. We learned about Porta Mallorquina through the internet. Jolanthe and Horst F. Heinzel from Hamburg"
Jolanthe and Horst F. Heinzel from Hamburg, Germany. 5 ★★★★★ Rating for purchase an apartment in Playa de Palma. "The experience with Porta Mallorquina was very good. My flat was listed with other real estate agencies. Then I got to know Jens who seemed trustworthy and I changed the agency. He is a professional consultant and everything was handled very quickly and effectively. He did not bother me at any time, took care of everything and I sold the flat after 10 months. I am very happy." Melanie Margraff from Capdepera, Spain. 5 ★★★★★ Rating for apartment for sale in Font de Sa Cala. My Name is Carmen Sastre and I am a client of Porta Mallorquina. I am writing to you because we could recently rent out a flat in the street Fra Juniper Serra in Son Veri with Melitta Tiefenbacher and I wanted to express our satisfaction with her work. The next time we will be searching for a tenant for our property, we will of course contact you again due to the professionalism, the diligence and care of Mrs. Tiefenbacher. Carmen Sastre from Palma, Spain. 5 ★★★★★ Rating for long term rental of an apartment in Son Veri. "Our experience with Porta Mallorquina has been very positive in every way. The service provided was very professional and with great attention to detail, which finally simplified the purchase of a beautiful property. The service was really excellent and if another opportunity arose, we would not mind to work with you again. We learned about Porta Mallorquina through an internet ad." Paula Llompart and Benito Riera from Terrassa, Spain. "Dear Mrs. Tiefenbacher, Now, after we have settled down, allow me to thank you with these lines for your services. Before meeting you, we had no good experiences in the real estate market. It is worth mentioning that your service has been professional from start to finish. All agreements were kept. We wish you a lot of success in your future career. Joachim Nagel from Bahia Grande, Spain. 5 ★★★★★ Rating for long term rental of a house in Bahia Grande. We would like to thank you again for your professional assistance in the sale of our flat in Port Andratx. Your open and honest way of working made us trust you and gave us a feeling of security. Particularly noteworthy is your flexibility and highly efficient ways of working so that even official matters were solved straight away to our complete satisfaction. We will definitely recommend you and we wish you great success. Family Schäfer from Paguera, Spain. 5 ★★★★★ Rating for apartment for sale in Puerto Andratx. "Mrs. von Axleben attended us perfectly. She was available at any time and always answered our questions patiently. Furthermore, she built a personal relationship between the seller and buyer and attended us even after the sale. We had the impression that the selling party in particular needed attention in this process of sale. She patiently helped the older gentleman. Without Mrs. von Axleben the sale would have never gone through. You earn an A+ for your work. If we look for a property in Mallorca again or sell one, Mrs. von Axleben will be the first to contact. Dr. Thorsten Müller from Mönchengladbach, Germany. 5 ★★★★★ Rating for purchase a finca in Banyalbufar. "Hello Mr. Özdemir and Mr. Hoffmann Thank you for the professional handling of the rental contract and especially for your help to settle here in Majorca. Alfred and Hannelore Marek from Hildesheim, Germany. 5 ★★★★★ Rating for long term rental of an apartment in Playa de Muro. Consultation and rent by the team of Porta Mallorquina in Pollensa. We are very happy with your work. You have given us competent advice. Thank you very much for your good work. It was to our entire satisfaction. Dr. Patrick and Myrna Stieger"
Dr. Patrick and Myrna Stieger from Cala Vinyas, Spain. 5 ★★★★★ Rating for long term rental of an apartment in Costa de la Calma. Many thanks for forwarding the signed rental contract. The agreed deposit payment has already arrived and we believe that we found a very good tenant for our flat through you. Thank you again for your excellent “assistance”. Gabriele and Werner Kirchdörfer from Cala Vinyas, Spain. 5 ★★★★★ Rating for long term rental of an apartment in Cala Vinyas. We kindly thank you for your professional assistance in the purchase of our second property in Puerto Andratx. Your open and honest way of working made us feel safe and well advised at all times. You solved still pending matters very quickly and therefore the purchase process was very pleasant and easy. We hope your work for Porta Mallorquina will continue its success. Family S. from Düsseldorf, Germany. 5 ★★★★★ Rating for purchase an apartment in Puerto Andratx. "We are very satisfied with the sale of our house of which Mr. John van Eenennaam from Porta Mallorquina took care. A fast sale at a fair price. Everything went smoothly and all our wishes were fulfilled. We have already recommended Porta Mallorquina to friends who also want to sell their property." Frank Scheppers from Heerlen, Netherlands. I would like to thank you for the competent advice, the support and the professional handling of the purchase of my house in Camp de Mar. From the start, I felt in good hands. Due to your competent and professional approach and excellent mediation, you have made the purchase of my house in Mallorca as easy and pleasant as possible. You have always assisted me in word and deed and have informed and advised me as soon as possible during the entire purchase procedure. Many thanks also for accompanying me to the notary’s office and for competently answering my questions that went beyond the purchase of the house. All the best for the future and I will be pleased to recommend your services! Michael Dresel from Bühlertal, Germany. 5 ★★★★★ Rating for purchase a house in Camp de Mar. Not only the presentation of my small house (in Artà, Mallorca) on your website was very attractive but also the selling process in the following year was very successful. Whenever I had a question or there was a problem to be solved (some things exceed the experience of a normal homeowner), you always had an idea, an explanation or concrete help by your employees. In every situation you let me know: We will find a solution. For a seller like me whose house is only a second residence, it is a reliable feeling also when being in the distance. Many things were clarified over the telephone or by e-mail. The completion of the sale suddenly went very quickly. Because the interested party was enthusiastic and many questions were clarified by you in advance – after all, you do not buy a house abroad along the way – and because you irradiated tranquillity and expertise throughout the negotiations. This made many things easier for all parties involved. Whenever my friends who are still living on the island will need help with the sale of their property, I will happily recommend you. Therefore, thank you for your helpful and professional assistance, Mr. Falke!" Ute Neumann from Munich, Germany. "We have recently completed the purchase of a property in Mallorca through Porta Mallorquina and I thought I would contact you to thank you for the excellent service you provided. The property was in Valldemossa and so the sale was coordinated by Miguel Antón, your North West property consultant. Miguel handled every stage of the process superbly and his support, advice and efficiency proved invaluable. I should point out that this was the first time we have purchased a property outside of the UK and so we were especially grateful for Miguel's guidance and calm reassurance. He explained every stage of the process clearly and was a constant source of sound advice and common sense. Even after the sale was completed, Miguel continued to advise us on aspects of village life and even accompanied us on one occasion to the local Town Hall to act as a much needed interpreter and advocate. Both my wife and I would like to thank Miguel for everything he has done for us; we will not forget his kindness and understanding. For anyone contemplating buying a property in Mallorca, we would unreservedly recommend the services of Porta Mallorquina. Best wishes and many thanks from Michael Cooke and Alison Marriott." Michael Cooke and Alison Marriott from Manchester, England. 5 ★★★★★ Rating for purchase an apartment in Valldemossa. Consulting and sales by the team of Porta Mallorquina in Northwest. Once again we would like to thank you for the handling and assistance in buying our apartment in Betlem. We felt in good hands and always had the feeling that we and our wishes were the focus of your efforts. We especially liked your competence, professionalism but at the same time your friendliness, which made the search for a suitable property very pleasant. Thank you also for the organization and assistance in the purchase process and for answering many questions we had in the course of this process. It's also nice that our contact did not finish with the signature of the deed, but we can still approach you with questions. Anja and Volker Hühne from Gehrden, Germany. "Porta Mallorquina, and Natalia de la Piedra their agent, facilitated the sale of our home in Port Adriano, Mallorca. We could not be more impressed with his abilities and highly recommend their services. Their professionalism, market knowledge, and communication skills were excellent. They only brought clients who where very interested in the house and where a good match. Overall we were pleased with the service we were provided and have recommended her to several friends looking to make their first home purchase or sale their home. Zon Sprong from El Toro, Spain. 5 ★★★★★ Rating for property sale in Port Adriano. "Many thanks to Ria Blum! The time of searching for a house in Majorca was exciting, exhausting and thanks to Ria also successful. Throughout the process, she perfectly assisted us in word and deed. We were pleased to have taken her advice and recommendations and will highly recommend her any time. We are very happy and we found our dream house in Sa Cabaneta. Dear Ria, keep it up." Berit Klein from Berlin, Germany. 5 ★★★★★ Rating for purchase a villa in Sa Cabaneta. "We found our perfect holiday home with the help of John van Eenennaam from the Adratx Office. Not only did we feel that we were very honestly and objectively advised, but above all also enjoyed the comprehensive and extensive support he provided during the entire process - which, by the way, did not stop even after the signing of the contract. The right partners are always at hand and cause you to feel well cared for, and in a pleasant way, very welcome. Harald Melwisch from Hamburg, Germany. 5 ★★★★★ Rating for purchase a house in Puerto Andratx. I would like to thank you once again for your professional support and handling of the sale of my house. During the last 2 years we have had contact with a lot of real estate brokers, all without a positive result, and are very glad that we ultimately met Mr Falke. His experience and professional competence helped us greatly during the sales phase, and I have to highlight his exceptionally short response times to emails. Unfortunately the after sales was a little slow, and the photos are, for me personally, too "wide-angle", so a point deduction making 4 * of 5 *! A clear recommendation! Torsten B. from Hamburg, Germany. 4 ★★★★★ Rating for house for sale in Cala Ratjada. "I have been working with Porta Mallorquina for the last 6 years. I am really satisfied with this great team with professional support. Special thanks to Francisca De Lluc who is in charge of renting my properties in Mallorca. Her excellent advice and professional work make not only myself but also those who look for a property super happy. I think she is the best bridge between the owners of properties and the tenants. There is no doubt that I can recommend her to everyone! Tatsuya Kawanishi from Barcelona, Spain. 5 ★★★★★ Rating for long term rental of a finca in Son Macia. Consultation and rent by the team of Porta Mallorquina in Santanyi. "Dear Mr. Otte, By now, some days have gone by since we arrived back in Germany – at least without major incidents. Well, the flight to Palma has been catastrophic (although it is not your fault) and we have decided not to rent a flat in Mallorca for the time being. Nevertheless, I would like to thank you and your team for your effort - this is something I will not forget. You will be our first contact if in the future we shall again decide to search for a property in Mallorca. Many greeting and thank you again! Amai Kummrow-Rodekohr from Verden, Germany. With the present, I would like to thank your company for the handling of the sale of our house in Banyalbufar. We wanted to contact you right after the signing of the purchase deed; however, we had to travel for family reasons and have not yet had the change. A special thanks to Mrs. Jana von Axleben for her full commitment in solving all the problems and difficulties encountered in obtaining all necessary documents during the period of negotiations. She also helped with keeping appointments; when we could not do it, she took care of the whole process in order to have everything ready on time and therefore proved to have a lot of experience and not only linguistic knowledge but also legal, economic and commercial knowledge along with a good customer relation. She was always willing to work at any time. Please convey to her our admiration and to you for the leadership of a highly professional team. "Dear Natalie, Hereby we would like to thank you again for the absolutely professional handling of the purchase of our flat in Santa Ponsa. Most of the correspondence was by e-mail within only 4 weeks. In the morning I wrote to you and on the same day I received the desired information. The notary’s appointment was so well prepared that we only had to come and sign. Thanks to your motivation, we could make the necessary name changes on the same day. Congrats! Not only excellent interpersonal skills in dealing with your clients but also your high capacity and ability to find creative solutions characterize you. Your friendly demeanour cannot be denied. Once again thank you for everything. Rest assured that we will definitely recommend you. Helmut and Sigrun Döring from Karlsruhe, Germany. 5 ★★★★★ Rating for purchase apartment in Santa Ponsa. "After we had been looking for a frontline apartment in Portixol, Molinar for over a year, we had already given up hope. Then, we were happy to receive a mail from Mrs Bruns who contacted us again in order to inform us she had the right property for us. Mrs Bruns could actually fulfil our dream of a frontline apartment. She has assisted us throughout the purchase process, giving us tips and helpful advice. She was of great help and repeatedly proved her competence, whether answering our questions or taking into consideration important concerns. She also assisted us with all formalities regarding the purchase, etc. Stephanie Bruns has a quiet competent and loving nature, making you feel in good hands. As we had to refurbish our apartment, Mrs Bruns has provided us with important and reliable contacts. Thanks to her, we could overcome all bureaucratic and linguistic obstacles. The work of Mrs Bruns couldn’t have made us happier. 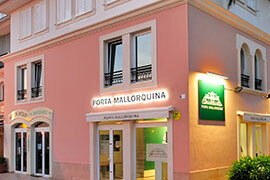 We can recommend Porta Mallorquina. Family Capricano from Frankfurt on the Main"
Family Capricano from Frankfurt on the Main, Germany. 5 ★★★★★ Rating for purchase an apartment in Portixol. "We would give 10 stars to Francisca de Lluc; she is the most exemplary broker we have met. When we were looking for our dream house for long-term rental in Mallorca, we got to know her as a very competent, committed, flexible and extremely helpful person. She was 24 hours there for us and was always comprehensive in regards to our opinion and desires. We have found our dream house :-) Thank you very much. Every company would want to have such a competent, dedicated and sympathetic employee!!! Thanks to Francisca for a very good cooperation and we will recommend her any time. Senta & Charly Schärli from Zurich"
Senta and Charly Schärli from Zurich, Switzerland. 5 ★★★★★ Rating for long term rental of an finca in Manacor. "In April 2015, after only a few months, I successfully completed the sale of my country house in the centre of the island with Porta Mallorquina - despite the fact that my property was not considered to be easily saleable due to the very individual layout. The collaboration with Porta Mallorquina has been very professional and constructive from the beginning until the end. The sales person in charge of me, Jana Von Axleben, has personally been really helpful and dedicated in obtaining the paperwork urgently needed. This is something you cannot take for granted in every estate agency. The evaluation of interested people was just right, so she only filtered suitable buyers. Hence, there was hardly one month between the option contract and the sale. I have honestly been very content and can recommend Porta Mallorquina." Andreas Binninger from Düsseldorf, Germany. 5 ★★★★★ Rating for finca for sale in Lloret de Vista Alegre. "Dear Sirs, in April 2015, we bought a townhouse in Llucmayor. We want to thank Gabriela Becker, South office, for the kind and particularly competent advice, support and handling of the purchase. After we had been interested in almost 100 townhouses, island wide, offered by other brokers, we have visited 25 properties and the first offer from Gabriela Becker from the South office was a direct hit. It mostly corresponded to our enquiry, which speaks for the professionalism of your staff member. The purchase process was well organized and the assistance with any question arising when buying a property was exemplary. Also after the purchase, she always intervened when things had to be sorted out. Thanks also for that! We speak from experience because this is already the fourth property we purchased in Mallorca. Angelika and Gerd Brumberg from Cala Bona, Spain. 5 ★★★★★ Rating for purchase a house in Llucmajor. Consulting and sales by the team of Porta Mallorquina in Llucmajor. "Dear Francisca de Lluc By this e-mail, I would like to thank you and my sincere congratulations regarding on how you assisted us in the process of renting our property in Cala Ratjada, on your advisory work and on finding the tenants, we were looking for. We felt well advised at all times, also in regards to dealing with our tenants. We have seen that they were aware of everything we wanted. We value your full involvement in this operation. We also wish to inform you that we are delighted with your work and we will recommend you to everyone who has a property for rent. Thank you and congratulations. Damià and Rodolfo Ripoll from Cala Millor, Spain. 5 ★★★★★ Rating for long term rental of an apartment in Cala Ratjada. "From Februrary to April 2015, Mr. Falke was in charge of the sale of our apartment in “Residencial Betlem” in Artá. In this period, we have gotten to know him as a very competent, applied and friendly negotiating partner. He has fulfilled his task to our fullest satisfaction and he can be recommended for doing business in the real estate market." Margot Nordmann-Westerbarkey and Dieter Westerbarkey from Gütersloh, Germany. "From the first contact until the completion, we have been appreciating the contact with you and the company. The process run under the best conditions. Of course, we would recommend the agency for a purchase in Majorca. It is a pleasure to count on somebody for every issue that might arise. Thank you for everything, Jana. With best regards, familiy Notario." Family Notario from Meyrin, Switzerland. 5 ★★★★★ Rating for purchase a finca in Lloret de Vista Alegre. "Mina Dhabi has looked after us very well. Beatriz Stemmler as well. Thanks to both." Lothar Baumgärtner from Munich, Germany. 4 ★★★★★ Rating for purchase an apartment in Palma. "Dear Sir/Madam, Dear Mrs. Mayer, We would like to give you the following review. We have rented a fabulous flat in Palma with the help of Porta Mallorquina. In this process we have received excellent advise from Mrs. Manuela Mayor of the Rental division of the Palma office. She has not only taken care of the completion of the lease, but was also available to us for any question that arose concerning the rental of a property. Even after we moved in, she was always open for questions. Thank you very much for that! Kind regards." Mike Ullrich from Hannover, Germany. "Dear Mrs. Blum, Thank you so much for the great advice and execution of the purchase of my current apartment in Palma. Consultation, flexibility and contact were perfect. I will gladly recommend you as well. Greetings from Sylt." Wolfgang Willam from Sylt, Germany. "I would like to thank Ursula for all her help when buying our property in Capdella. She was totally professional, understanding and helpful and made a rather complicated purchase much easier. Thank you from us both, we cannot recommend your company highly enough and Ursula in particular." Heather and Andrew Clemence from Santa Ponsa, Spain. 5 ★★★★★ Rating for purchase a finca in Capdella. "Dear Natalie de la Piedra, actually we had already given up with the purchase of a house or an apartment in Spain, until such time as we found on the Internet a property in Santa Ponsa, which seemed to meet all our expectations, and so it was. You, dear Natalie took care of us in an efficient, competent and professional way throughout the purchase, which went off without a hitch. You have been a great help in all respects, taking care conscientiously to everything and our questions have been answered always to our fullest satisfaction. Thank you for your assistance with all formalities and the perfect preparation for the appointments. We appreciate your reliable and calm way to be and felt very comfortable with you and Porta Mallorquina. Now we are looking forward to our first holiday in our apartment and hope to find the time to have a coffee or a glass of wine with you. That would be nice and we would be very pleased to meet you. We can only recommend Porta Mallorquina. Greetings from Bad Griesbach to you and to all employees. Jürgen, Ilona u. Thorsten Köhler." Jürgen, Ilona and Thorsten Köhler from Bad Griesbach, Germany. "Hello dear Francisca, In fact one word is enough: “perfect”. We would like to thank you very much for the nice and competent consultation, care and handling! You were very patient with us as new customers. But thanks to you we have found our dream house for long term rental. And when we decide to buy, we know where to go. We will definitely recommend you to our friends, acquaintances and business partners. Thank you very much and greetings to the most beautiful island on the world. We’ll soon be there again. Dietmut and Manuela Mangelsdorf and family." Dietmut and Manuela Mangelsdorf from Goslar, Germany. 5 ★★★★★ Rating for long term rental of an apartment in Cala Mandia. "We have found a great apartment with the help of Mrs. Gassner. We are very happy with the advise, the completion of the sale and the all-inclusive service. Thank you very much for everything!" Carina Walz from Rosengarten, Germany. "Porta Mallorquina has got an excellent support finding the best property. In particular, the fast and competent advice and professional purchase have impressed me. I'll be happy applying confidently again to Porta Mallorquina and its great team with my next property purchase." "I have just sold my property in Capdella with the help of Ursula from Porta Mallorquina, Santa Ponsa office. Ursula kept in constant contact through the process and made a difficult time a lot more smooth and easy for me as I have been unable to come out to Mallorca to oversee the sale. She worked closely with both myself and my solicitor and kept me fully updated at all times. Not only did she do that but she also gave me lovely, sunny weather reports as I stared out of a window at rainy England! I would have no hesitation at all in recommending Porta Mallorquina and if I decide to buy another property on the island would ask them to help me." Rachel McFarlane from Bussage, England. 5 ★★★★★ Rating for finca for sale in Capdella. "I was the owner of a house in Portixol. Ria Blum of the Porta Mallorquina real estate agency has contacted me through a website on which I had offered my house for sale. She has viewed the property, took pictures, and made detailed notes of all relevant facts about the property in order to be able to explain everything later to her customers. In all of her viewings she proved to be very professional and accurate, and had very good contact with the customers: always friendly, polite and at some moments very patient. At the end she has found the right customer and the sale was completed. I am very grateful and very satisfied with her work. Kind regards, José Miguel." José Miguel from Palma, Spain. 5 ★★★★★ Rating for house for sale in Portixol. "In January, I found my dream apartment in Mallorca! The brokers Sabine Theobald and Natalie De La Piedra were very helpful. I am very grateful to them both for negotiating, but also for going above and beyond the sale by supporting me with help and advice. For example they both helped with favours such a locating a language school and helping to re-register with utility suppliers and did so with knowledge and charm. I am very happy and thank you for everything." Bettina Droß from Hamburg, Germany. 5 ★★★★★ Rating for purchase an apartment in Son Caliu. "We would like to report on our experience purchasing a condominium using the real estate "Porta Mallorquina" in Santa Ponca, Mallorca. We were looking for an appartment for sale in and around of Santa Ponca. So we found in Internet the real estate "Porta Mallorquina" with an office in Santa Ponca. Since we were not familiar with the customs and rules buying a property in Mallorca and we do not even speak Spanish, we needed a real estate agency with the relevant expertise. After buying we have found that we have chosen the right real estate in order to realize our ideas. In particular, we would like to thank our estate agent Natalie de la Piedra for her advise, actively support and a lot of commitment. A real estate transaction in a foreign language with foreign regulations would not have been possible for us without her professional help. Even after the purchase we felt in good hands. In particular, we would like to mention that Mrs de la Piedra was very helpful to us even after the purchase with any necessary administrative paperwork and in the selection of craftsmen and other services. We would recommend "Porta Mallorquina" and their employees at any time. Herewith we would like to thank you once again. Gerhild and Joachim Korallus from Hilden, Germany. "Dear Francisca, after our conversation yesterday it has become clear to me how lucky we have been to have you as our real estate agent. Therefore, I want to thank you very much for your enormous dedication, i.e. multiple viewings, taking measurements for my new curtains in the new finca, as well as several calls to our landlord, and last but not least the nice lunch at the marina, to which you have invited us. We know that it’s not obvious to meet people on Mallorca who are honest, sincere, diligent and trustworthy. Therefore Heinz and I want to express our thanks again and invite you and your partner to our housewarming party (date not set yet). Furthermore, I want to say that Porta Mallorquina has assisted us very well in word and deed in a case concerning another real estate agent. Thank you! With sunny greetings from the Weserbergland, Bettina and Heinz Franke." Bettina Franke from Emmerthal, Germany. 5 ★★★★★ Rating for long term rental of a finca in Manacor. "Dear Natalie, Without a doubt, my wife Daniela, my daughter Natalie and I are very happy and satisfied with you and your company Porta Mallorquina. We felt in good hands and supported right from the beginning with the viewings of properties until the purchase process. Fantastic! I can highly recommend you, something I have already done. Best regards from Zurich, Natalie, also from my family, Michael Knoepfel, Meilen nearby Zurich." Michael Knöpfel from Zurich, Switzerland. "Dear Ladies and Gentlemen, we would like to take this opportunity to thank for your excellent service as part of our move from Germany to Palma de Mallorca. Manuela Mayer helped us in many ways far beyond the development of the house on calle 42 Barranc and exceeded our expectations. Therefore, in our gratitude, we are always happy to recommend your service. Best regards." E.S. and A. W. from G., Germany. 5 ★★★★★ Rating for long term rental of a property in Genova, Palma de Mallorca. "Dear Ms Gassner, I want to thank you again for the professional and pleasant support during the entire search and preparatory purchase process. Even after the sale period are empirically very important and time-consuming things to do (reregistration electricity and water, insurance matters, naming of craftsmen etc.). In this regard, I could always rely on the expertise and reliability of Ms Gassner. I will certainly revert to the services of PORTA MALLORQUINA with the next property." 5 ★★★★★ Rating for purchase an apartment in Calvia front line of sea. "Dear Mrs de la Piedra, I want to thank hereby once again very much for your great commitment regarding to my house-purchase. Although everything has taken 4 months, due to a lot of things to clarify, I always could achieve you with all my questions and concerns, which were answered immediately. I felt very comfortable with you and Porta Mallorquina. It was also a pleasant experience to be in your Santa Ponsa office, you helped me with the bank account, took care of all the necessary things and the documentation, it was very easy for me and it was quite a lot to do for you! Mrs. Gassner is also a very sympathetic and friendly person. The feeling that you are happy for me was especially nice. So I did not feel alone at the notary’s office. Altogether, thank you for the good work :) I have definitely found my dream house in Galilea." Andrea Schäfer from Mühlacker, Germany. 5 ★★★★★ Rating for purchase a property in Galilea. "I purchased my property with Porta Mallorquina and am very satisfied. Also, especially after the sale I felt in safe hands with real estate consultant Stephan Hoffmann." Jean-Luc Guignard from Sindelfingen, Germany. 5 ★★★★★ Rating for purchase a property in Cala Bona. "Dear Mrs. Theobald, thank you hereby for your support with the purchase of our apartment in Camp de Mar. The process from the initial contact, through the search and coordination until the purchase was great - we felt at all times in good hands with you. We appreciate your reliable, quiet and relaxed way to be - we always had the necessary confidence. I was also very nice that you were helping us with the first spanish formalities. This was a good start for us. – With pleasure I will continue recommending you. Maybe we'll see each other again in Port d'Andratx for an after work drink – that would make me happy." Christian Naumann from Frankfurt, Germany. 5 ★★★★★ Rating for purchase a property in Camp de Mar. "As a developer I set the highest standards for a real estate agency because I'm a buyer and seller at the same time. The many years of very good business contact with John van Eenennaam of Porta Mallorquina is the result of attentiveness, quick, and sensitive collaboration. With Porta Mallorquina I can buy real estate according to my visions and John van Eenennaam as an accurate, always interested observer of my project development is also engaged in the successfully implementation of the sale." James von Enden from Port Adriano, Spain. 5 ★★★★★ Rating for purchase of properties in Southwest. "For optimum completion of our sales projects, quick and steady communication as well as a real estate employee that is a quick learner and can accurately process information is very important to me. A collaboration with John van Eenennaam and his team at Porta Mallorquina is always a pleasure, as the team is always accessible, all the staff are very friendly, helpful and knowledgeable and all sales documents are prepared carefully and professionally." Petra Dreyer from Puerto Andratx, Spain. 5 ★★★★★ Rating for sale a property in Puerto Andratx. "What sets John apart is his ability to adapt to his customers and present them with properties that truly meet their needs and desires. All this is done very discreetly, with perfect service. (Pick up at the hotel, escorted tours, meaningful exposés, mark analyses, etc.) 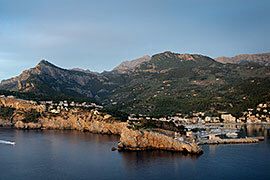 and in-depth knowledge of the Mallorcan real estate market. Even after the sale, you feel well cared for. The notary appointments were all perfectly prepared with all the necessary documents available and all the relevant issues clarified in advance to our full satisfaction. Porta Mallorquina is fully recommended from our point of view and because of the large network has a great range of property on offer." Christian H. from , Germany. "Some real estate agencies had tried, but it was Porta Mallorquina who ended up selling my apartment in Santa Ponsa. Commitment, professionalism, experience, complemented by a good dose of empathy for the needs of buyers and sellers since is what I associate with the office. I have learned to appreciate this particularly through working with Ursula Gassner. She accompanied the sale of my property from the beginning to the end. In this case, all occurring detailed questions were quickly answered and problems solved with knowledgeability and flexibility! With Mrs. Gassner, acting as my agent, I was able to perform the complete sale from Germany - a sign of how successful the relationship of trust was that was established between the buyer, seller and broker." Dieter Fedra from Bremen, Germany. "Ladies and gentlemen, good afternoon. I thank you again very much for your dedication in selling my apartment in Mallorca. This team has worked with a lot of zeal and are very professional. Every effort was taken and everything possible done for me. Very well looked after all the way to the signature. Again many thanks and best wishes." Maya Muuss from Wuppenau, Switzerland. 5 ★★★★★ Rating for property for sale in Playa de Muro. "Hi Francisca, after we have rented our finca, we would like to take this opportunity to thank you. In each phase of lease negotiations you were always willing to listen to our questions and requests and have always helped us immediately. Be it by sending the lease for reading or provision of the images of the finca, which we had never seen before. With your friendly nature you convinced us to rent the property, even though we had never seen this property. But thank you very much and also in the delivery of the keys on 14/09/14 when you were present and showed us everything and interpreted the landlord for us, otherwise we would certainly not have understood everything so well. Keep up the good work, we were definitely very satisfied and we will always recommend you. Best wishes"
Sigi Schütt and Marianne Reixin from Drage, Germany. "I have just started advertising my property for sale through the office in Palma. The team have made a professional impression and impressed me with the service offered. The photographer who came to see to create a series of photos of my property, has a lot of experience in buying and devoted a lot of time to the task. He created an excellent series of photos!" "Through Porta Mallorquina we purchased a house in Cas Catala. In doing so, we have been represented from the beginning and meticulously advised by Mr. van Eenennaam of the Santa Ponsa office. Via a detailed market analysis and a concrete property preselection from up to date specific surveys, our acquisition of real estate was very conscientiously prepared and handled very professionally after our purchase decision. We can only recommend this office." Olaf Pfeifer from Chemnitz, Germany. "Mrs de la Piedra is exactly how people imagine a competent broker. Excellent knowledge of location and market as well as an absolute understanding of what the customer wants. At any time gladly again, highly recommended!" Sven Lindenberg from Palma, Spain. 5 ★★★★★ Rating for apartment for sale in Son Caliu. "For a long time I had been thinking about purchasing a property in Mallorca. Via the very attractive website by Porta Mallorquina I was able to quickly and professionally get in contact with Mr. Sebastian Boelger who was responsible for my area of ? ?interest Pollenca. After several discussions and property-proposals that Mr Boelger had chosen very patiently and and with great detail paid to my wishes and ideas, we visited the estate in question with him. Unexpectedly I found my dream house in the bay of Cala San Vincent really quickly! As I had some rebuilding measures and wanted to do some renovating, Mr. Boelger immediately provided me with very good contacts to assist me. The entire planning and the purchase was well organised and all the decisions easy. I feel very comfortable in my house and come with my family and friends as often as possible to Mallorca to "my little oasis". Porta Mallorquina and in particular Mr Boelger have been personable and extremely professional in helping me to realise a lifelong dream. Therefore, 5 stars from me and unreserved recommendation!" Klara Borberg from Hanover, Germany. 5 ★★★★★ Rating for purchase a property in Cala San Vicente. "During the sales process, I was very competently advised and received many valuable tips. A craftsman was recommended to me by Mr. Linder and the company that has done all the conversion work were competent, trustworthy and timely. If in the future I decide to purchase or sell a property in Mallorca, I'll be working again with Porta Mallorquina." Nadia Amey from Villars-sûr-Glane, Switzerland. 5 ★★★★★ Rating for buying an apartment in Cala Vinyas. "It took a long time, but since Mr. Stephan Hoffmann took over the branch of Pollença, the customer service has increased by 100%. The assistance and the personal commitment as part of the sales process are exemplary and I wish Porta Mallorquina more employees of this kind. From the initial contact and preparation of the necessary property viewings with the potential buyers to the notarial handover of the property, everything worked excellently and was perfectly organized. The coordination of the viewings and the process led to the successful completion of the sale. Thank you, thank you and thank you again and I happily recommend Mr. Hoffmann to every client of Porta Mallorquina for the search or sale of your property." Alfred David from Can Picafort, Spain. "Dear Mr. Bouillon, With Mr Hoffmann on 19/11 of this year, I found a buyer for my property. The purchase agreement has already been signed. I thank you - not only for the professional presentation with beautiful photos, but also for the sense of security of feeling that I am dealing with enthusiastic, knowledgeable and friendly sellers. If an opportunity arises, I will happily recommend you further. I wish you luck and success." Marianne Grabowski from Búger, Mallorca. 5 ★★★★★ Rating for sale a property in Búger. "Porta Mallorquina has perfectly presented and also successfully sold our property. The staff understand the customers to radiate and build trust. With their empathic approach they have success with customers. This feeling of being well and properly informed; is also true. Thank you for your effort and we will always recommend you." Helmut Stenglein from , Germany. 5 ★★★★★ Rating for property for sale in Santa Ponsa. "Thanks for the competent negotiation. The townhouse in Porto Colom has exceeded our expectations. We were always very satisfied with your advice. We can only recommend Porta Mallorquina. Many thanks to your consultant Francisca de Lluc. Yours sincerely the Moor family." Dirk Moor from Duisburg, Germany. 5 ★★★★★ Rating for long term rental of a property in Portocolom. "On the Internet, I came across an apartment in Cala Vinyas in November 2013, which was on offer with Porta Mallorquina in Santa Ponsa. I sat down with the agent responsible for this, Mr Dieter Linder, so we could plan a visit to the property in our forthcoming stay in the winter. Mr Linder is an absolute professional. He was well prepared and showed us the same two apartments. Still undecided when he asked for our reflection, he had complete understanding, we never felt as though he pushed to sell. Shortly after our first visit Mr. Linder called and said he thought he had the right apartment for us. We absolutely had to go and have a look. And how right he was! During the visit we fell in love with it - it was THE apartment! The whole purchase went smoothly afterwards. 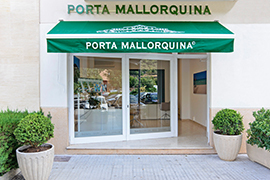 The Porta Mallorquina office is professional, knowledgeable and efficient. Mrs Monica Duran from the Porta Mallorquina office was a great help with support in the preparation of notary appointments and for legal and tax issues and much more. We are absolutely satisfied and happy with the apartment and this we owe to Mr. Linder. I can only say, "happily again" if we ever required a sale / purchase. Porta Mallorquina and especially Mr. Linder I will definitely recommend you. Thanks again to Mr. Linder and Monica Duran." Rita Brun from Zurich, Switzerland. 5 ★★★★★ Rating for purchase a penthouse apartment, Cap Falco, Cala Vinyas. "Good afternoon Manuela, I just wanted to thank you for arranging our new apartment. We only met a few weeks ago but your efficiency and help has made the viewings & final transaction so easy. I'm sure we will make Molinar a delightful new home & you must come over once we've settled in." Clyde and Elaine Lester from London, England. 5 ★★★★★ Rating for long term rental of an apartment in Molinar. "Dear Francisca, We would like to again send a thousand thank you’s, because with the completion of the lease we have with your help fulfilled a big dream. You're an angel !!!! We look forward to seeing you on October 15th. Best regards." Marianne and Rolf Langenegger from Zumikon, Switzerland. 5 ★★★★★ Rating for long term rental of a property in Portocristo, Santanyi. "Dear Mrs de Lluc, now today after a week I would like to thank you again for your very good advice. As we had already discussed by phone the accommodation fully corresponds to our expectations. I also want to thank you for the quick and easy management of your rental agreement. You have answered us with your competence and kindness and been very helpful and patient with all our questions about the property. We continue to be very happy to ask for help from you and your agency Porta Mallorquina." "My wife and I visited again and again over 5 years searching the whole island of Mallorca to look for a suitable house. Relatively quickly we decided we were really interested in the north around Alcudia. We then visited various properties but did not find something that really suited our ideas. But we then came across a very interesting offer from Porta Mallorquina and we finally decided to go for an property with them. We noted that they were very competent and gave professional advice, but especially that they were transparent. Of course they wanted to sell on the part of Porta Mallorquina, but we were never stressed or overwhelmed. We have now been the proud owners of a small but fine country house for 3 years and enjoy our time on the island again and again to the fullest. Porta Mallorquina and their employees Sebastian Boelger we can highly recommend, we would work with them again any time!" Frank Maier from Romanshorn, Switzerland. 5 ★★★★★ Rating for purchase a finca in Alcudia. "We purchased a townhouse through Porta Mallorquina in Sineu. Jana from Axleben was very welcoming and always prepared, a great & very dedicated employee. A company should be proud of such an employee. Furthermore, in the settlement, she was always at our side. Thanks again lovely Jana." Ana and Frank Mujan from Düsseldorf, Germany. 5 ★★★★★ Rating for purchase a property in Sineu. "Ladies and gentlemen, my husband and I wanted to thank you. Through Porta Mallorquina, Manuela Mayer, we have found a beautiful apartment rental in Palma. Ms. Mayer's engagement was excellent, it was appreciated by us all, incl. authorities and language barriers. Thank you!" Karin Schwarz from Palma de Mallorca, Spain. "Perfect support for both our customers this week. We have received excellent feedback for the selected property and all advice given. Thank you to all the Porta Mallorquina Real Estate Team in Llucmajor." Porta Mondial Mönchengladbach from , Germany. 5 ★★★★★ Rating for sale of a property in Llucmajor. "Hello: After the settling of the contract for the sale of our house in Sant Joan, I would like to express our appreciation for the organisation of the mediation by Susanne von Siegfried. We have not only achieved the desired result, but she showed kindness in carrying out her work. I hereby truly express my gratitude to the company again. With best regards." Francisco Gilet from Palma de Mallorca, Spain. 5 ★★★★★ Rating for property for sale in Sant Joan. "In the last year I sold my finca in the middle of the island, and experienced the best from Porta Mallorquina. Please thank your colleague Jana from Axleben She was fast, engaging and smart in responding during each phase and therefore provided satisfactory business for both sides. I can heartily recommend your company and your assistant!" Wiltrud Miethke from Llucmajor, Spain. "When searching for a suitable holiday home in Mallorca on the internet the real estate company Porta Mallorquina caught our attention. After telephone contact we met with Mr. Jens Falke on the island to visit the properties we had selected. Unfortunately in reality none of the properties were suitable. Thanks to the professional advice of Mr. Falke we decided more specifically what we wanted. Accordingly, he carried out a targeted and ultimately successful search for the appropriate property. During all official dealings and formalities whilst buying our house Mr. Hawk was there to give us advice. Also after buying the house he proved to be reliable partner and was able to provide us professionals and craftsmen, that we could call upon whenever we need. Due to our many positive experiences we can happily recommend the company Porta Mallorquina and Jens Falke. Thank you for the professional assistance. Best Regards." Elsbeth and Peter Schelker from , Switzerland. 5 ★★★★★ Rating for purchase a finca in Cala Ratjada. "Mr. Linder has given us a beautiful apartment in first sea line in Cala Vinyas. Following agreement on the purchase price, there were some difficulties that Mr. Linder resolved with an angelic patience again and again. All other aspects of purchase - from the verification of land papers to the clarification of the payment on the property for electricity, water, and housing were covered with perfect service. We, that is husband and wife entrepreneurs who have little time, found this process very easy and enjoyable. Expert advice, good service, people skills and love for the profession of the broker - we would not hesitate to buy again with Porta Mallorquina and Mr. Linder!" Peter and Lucia from Buengner from Munich, Germany. 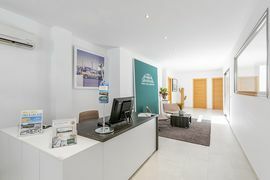 "Thanks to the competent marketing of the Porta Mallorquina, Santa Ponca office, represented by the two staff - Ms Ursula Gassner and Ms Natalie de la Piedra - I was able to sell my ground floor apartment in Bendinat. The buyers were very nice indeed, however, they were very uncertain and full of skepticism as like many have questioned, it was a long and complicated process. Thanks to the tireless efforts of the two agents who were able to bring together the two partners with much expertise, patience and empathy, we then came to the purchase completion. I am very grateful to the ladies!" Eva Cloth from Bendinat, Spain. 5 ★★★★★ Rating for apartment for sale in Bendinat. "Dear Director of Porta Mallorquina, My house was marketed by your firm, and I would like to provide a review of the process, which I inclose below. The performance of their broker in my area, Mrs. Francisca de Lluch, was decisive in every moment. First, they helped me to position my property correctly in the market, both in terms of the technical and sales description of my country house, as well as in the economic evaluation with sound and realistic criteria. Their help was invaluable. Also, I have seen how the interviews were conducted with potential customers, and I appreciate the clarity and sincerity of the information supplied as well as the constant availability to facilitate the landlord-tenant communication. Finally, their assessment and advice has made it possible to adapt the contract concerning the most important details. The result was the successful rental of the house." M.A.E. Rossello from Portocolom, Mallorca. 5 ★★★★★ Rating for long term rental of a finca in Portocolom. Consultation and rent by the team of Porta Mallorquina Real Estate in Santanyi. "Dear Mr. Zimmermann, having brought the lease for the wonderful apartment in Plaza Marinza, Portixol, signed and sealed, I would like to give the company and especially Ms. Mayer my sincere thanks for the excellent service received. Ms Mayer masters the balancing act between the will to draw up a contract, but nevertheless look after certain legal interests of both the landlord and the tenant excellently. It must be pointed out that she worked very diligently and repeatedly until late at night discussing the contract and adjusting the text accordingly to my adapted wishes. I have worked with several real estate companies here, and finally there are people that make the difference, and with Ms. Mayer you certainly have a trump card." David Lutz from Zurich, Switzerland. 5 ★★★★★ Rating for long term rental of an apartment in Portixol. "I wanted to express my appreciation for the professionalism shown and the service during the intervention of the lease of my house in Son Sardina. Also, I wonder if I could have your help in any dispute that may arise during the lifetime of the contract." Paco Ruiz from Palma de Mallorca, Spain. 4 ★★★★★ Rating for long term rental of a house in Son Sardina. "Dear John, In the process of selling my apartment in Santa Ponsa I have had to deal with a large number of Real Estate Agents, but the one who got the job done -the selling- has been your colleague DIETER LINDER. He is patient, very dependable kind of person, and very instrumental with both sides of the deal. In summary I STRONGLY RECOMMEND your Company to anyone who want to sell real estate in Mallorca. Regards, J Martin." José Martín from Santa Ponsa, Spain. Valuation 4.96/5 from 205 testimonies. you are reading: Testimonials: What customers say about Porta Mallorquina Real Estate · Porta Mallorquina Real Estate Rating 4,8/5 by 200 testimonials.